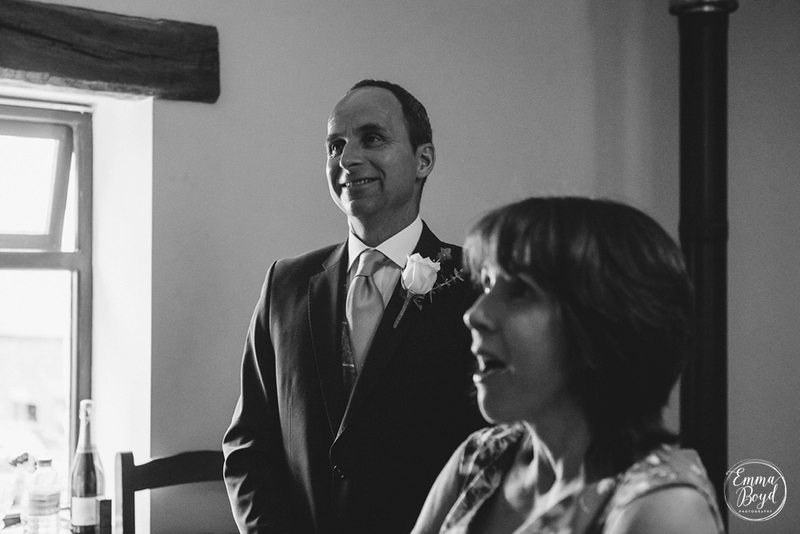 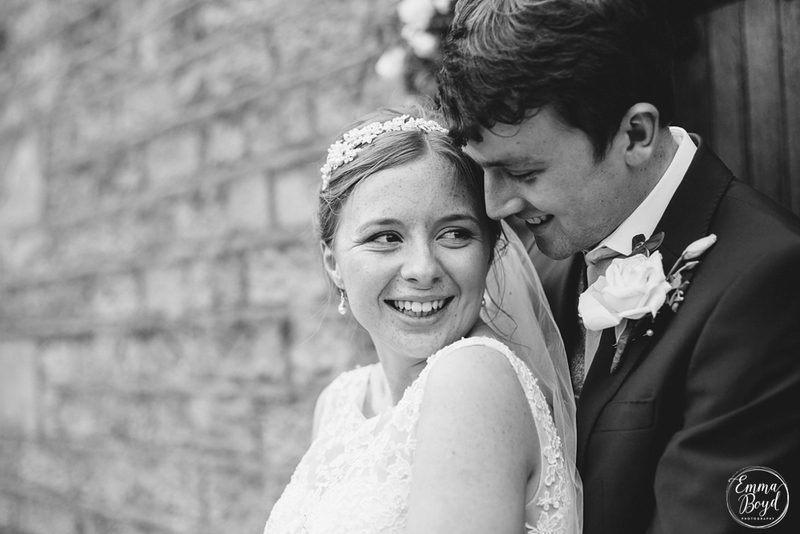 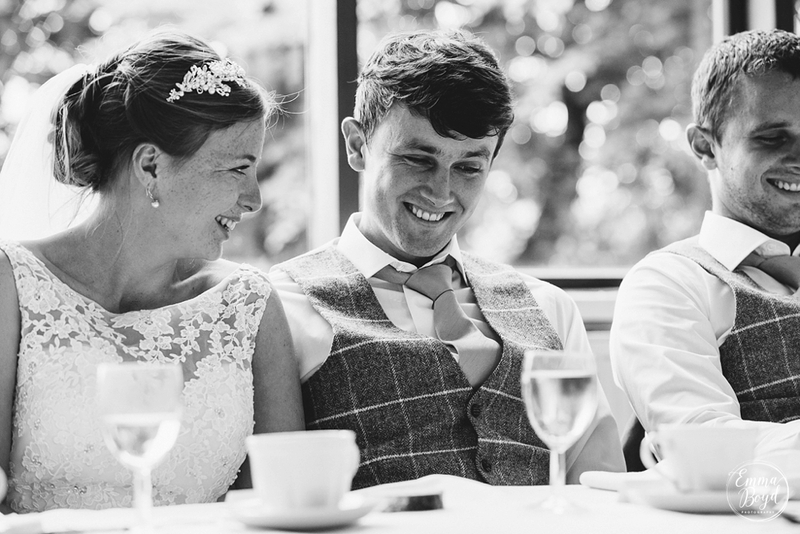 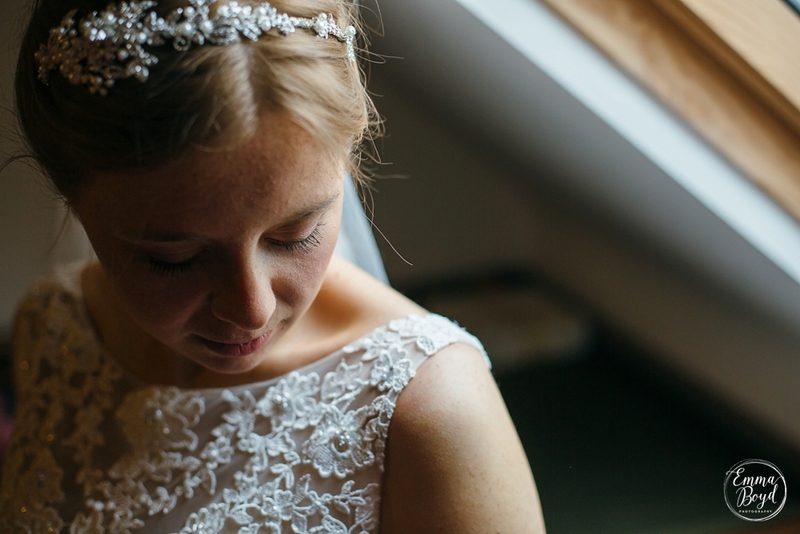 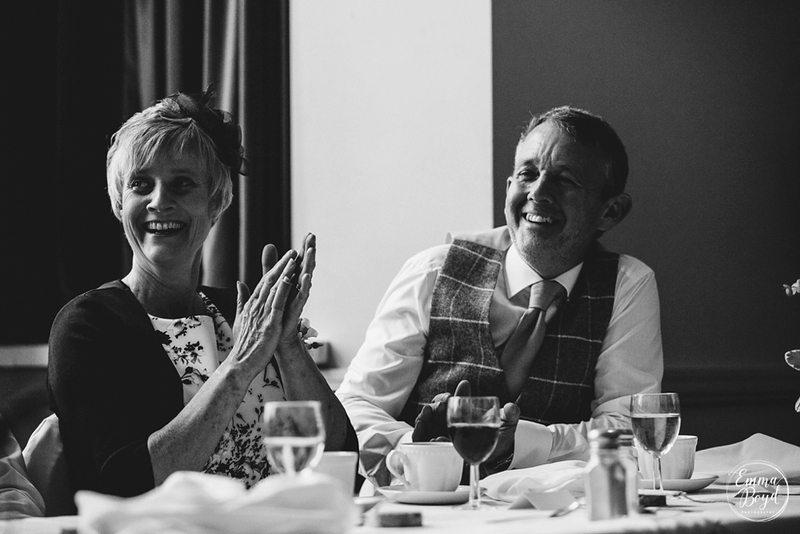 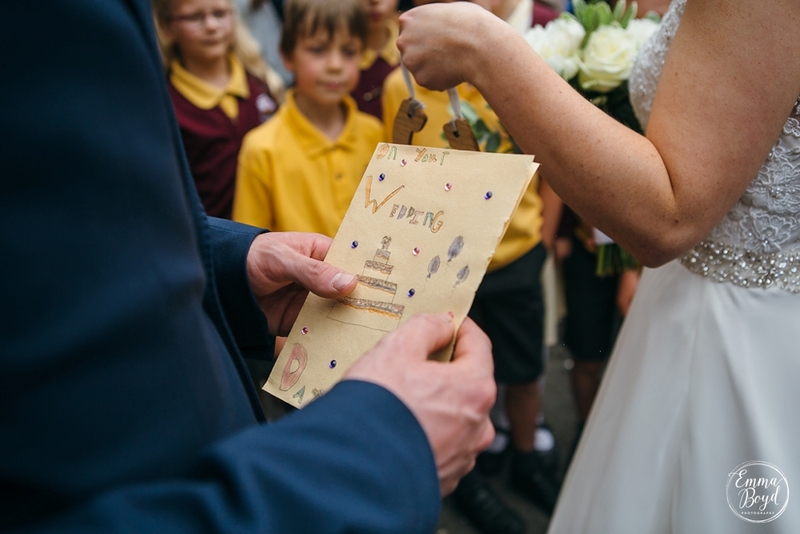 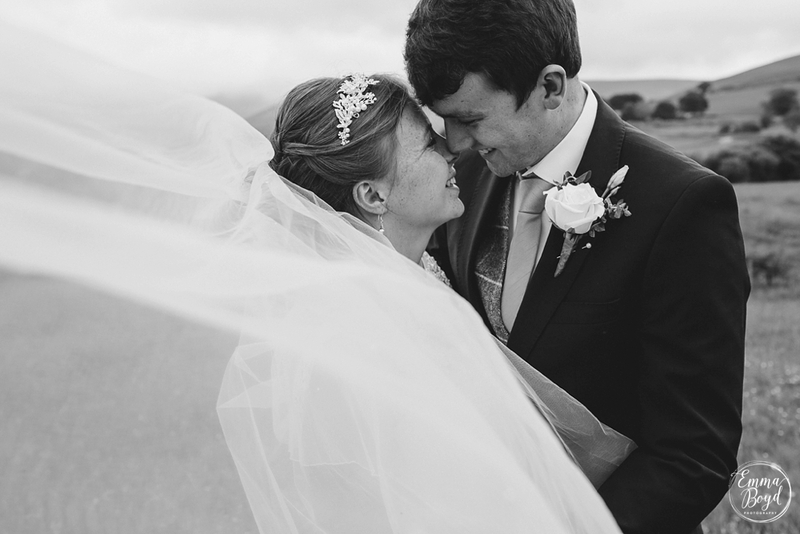 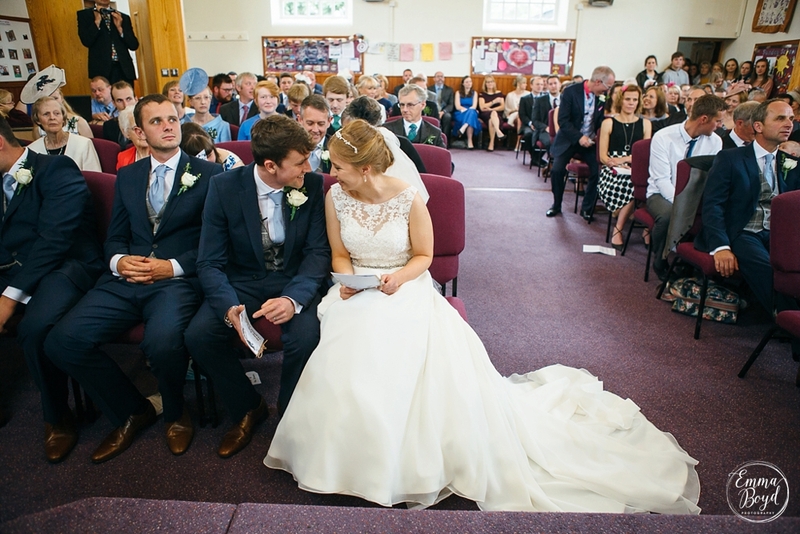 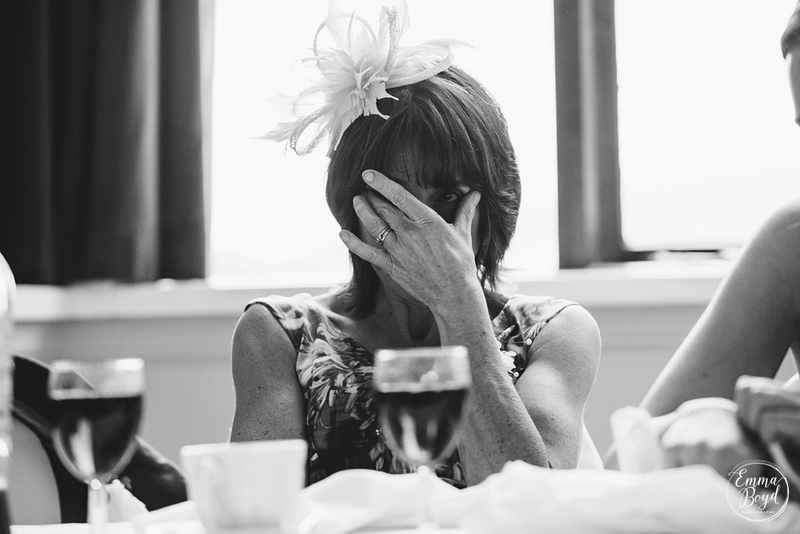 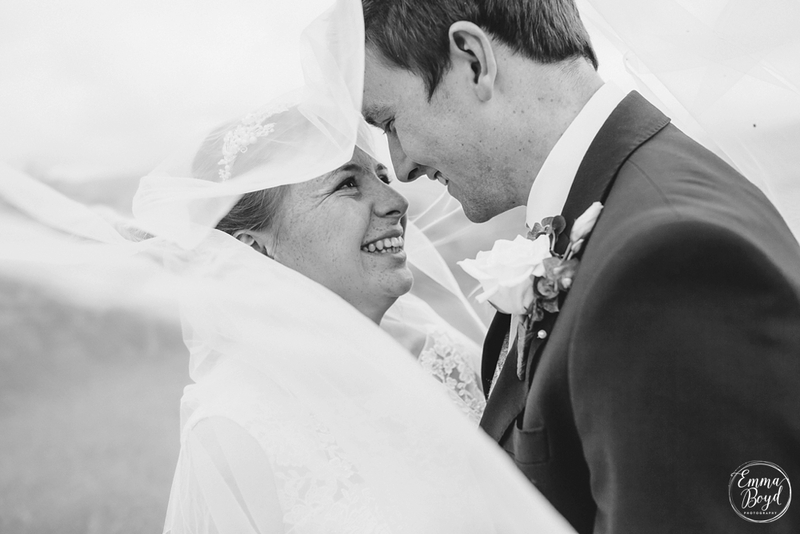 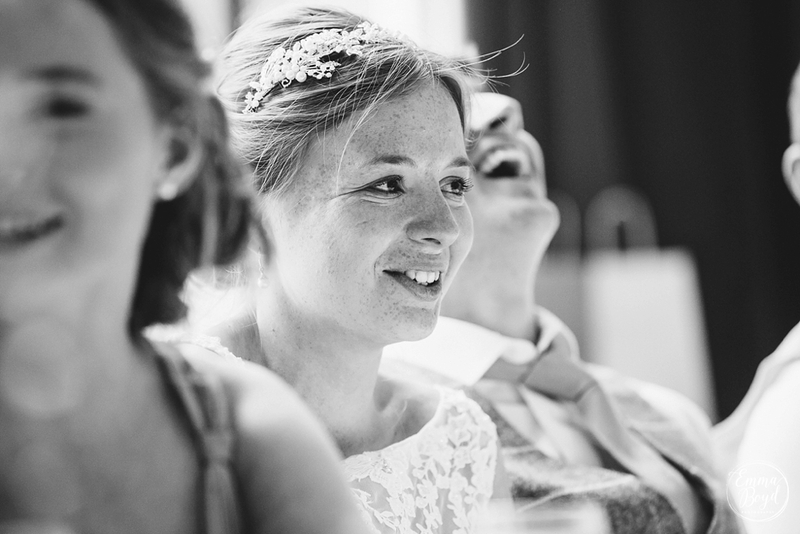 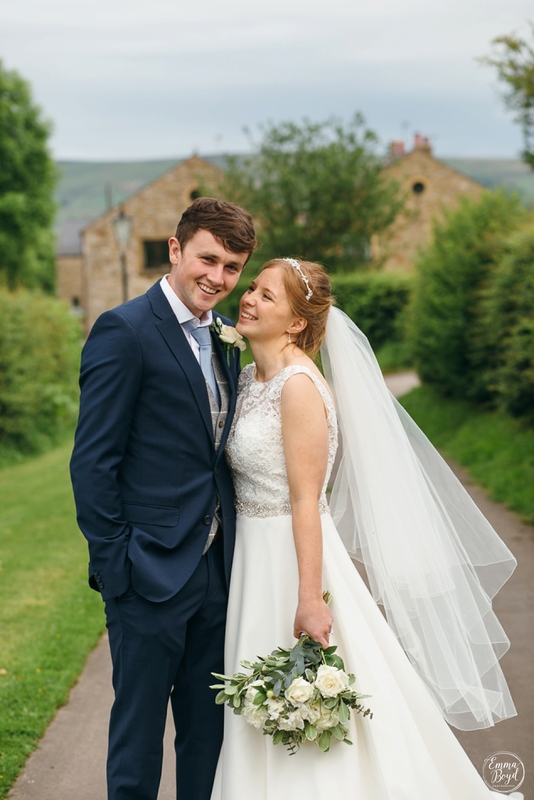 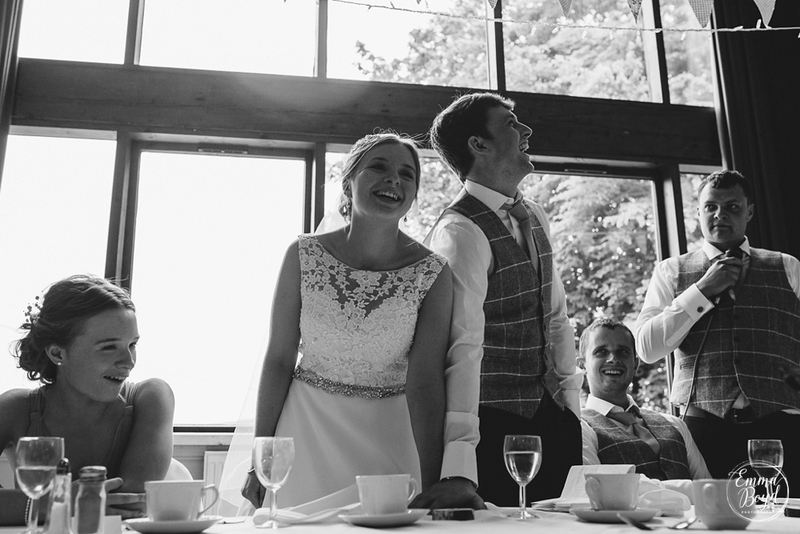 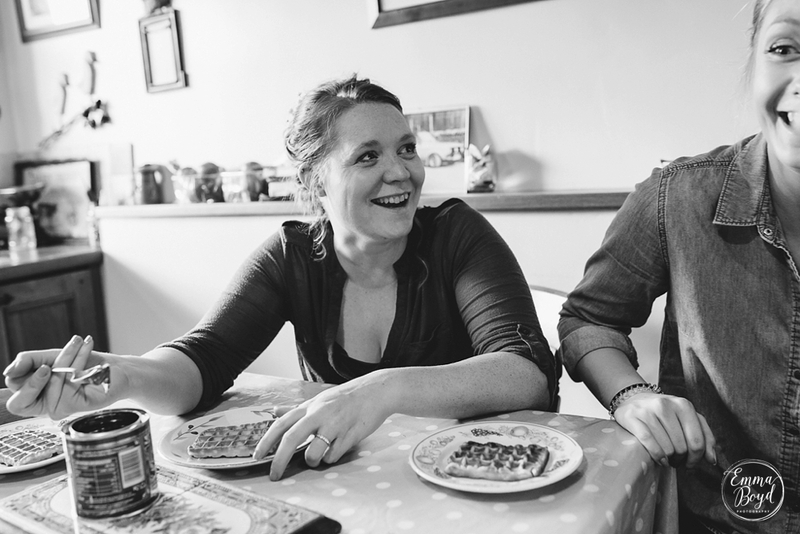 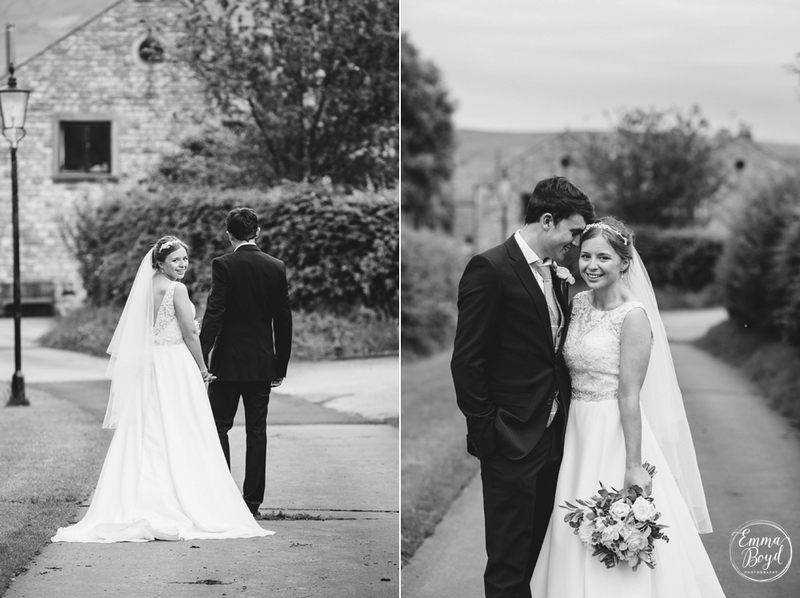 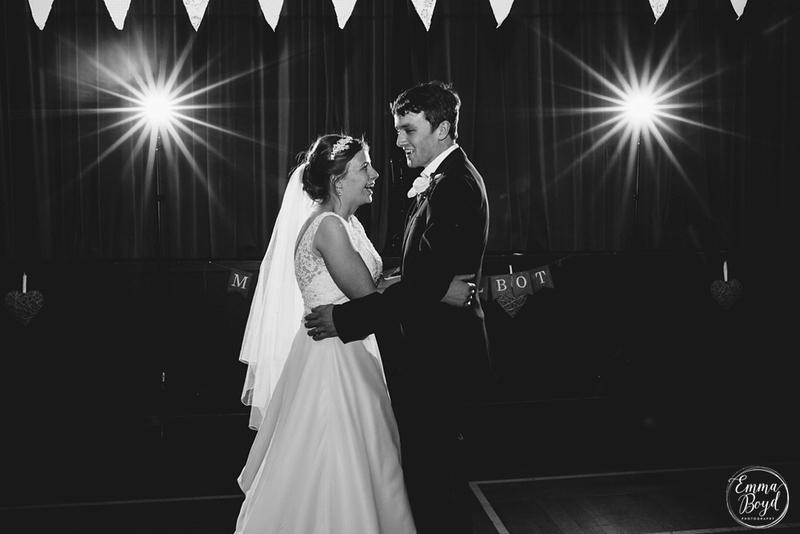 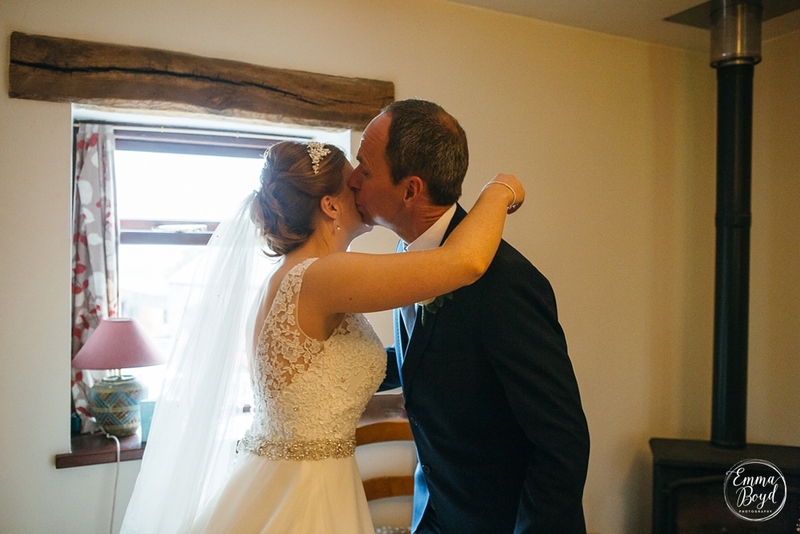 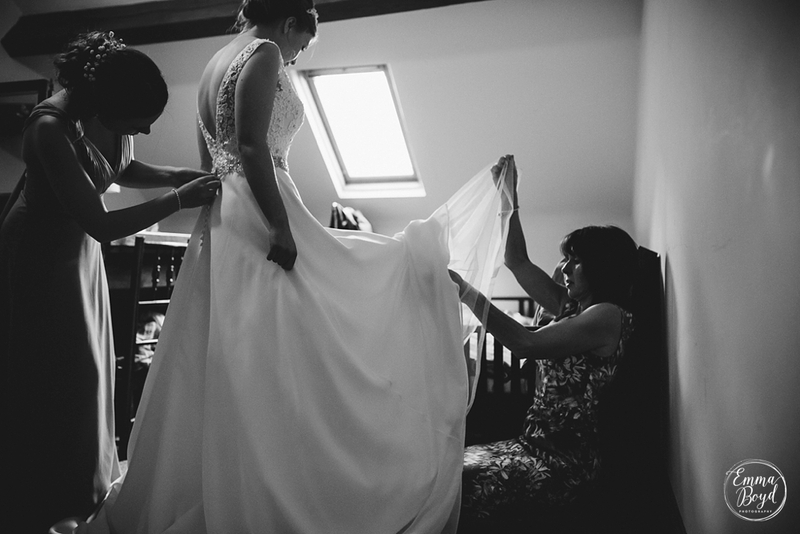 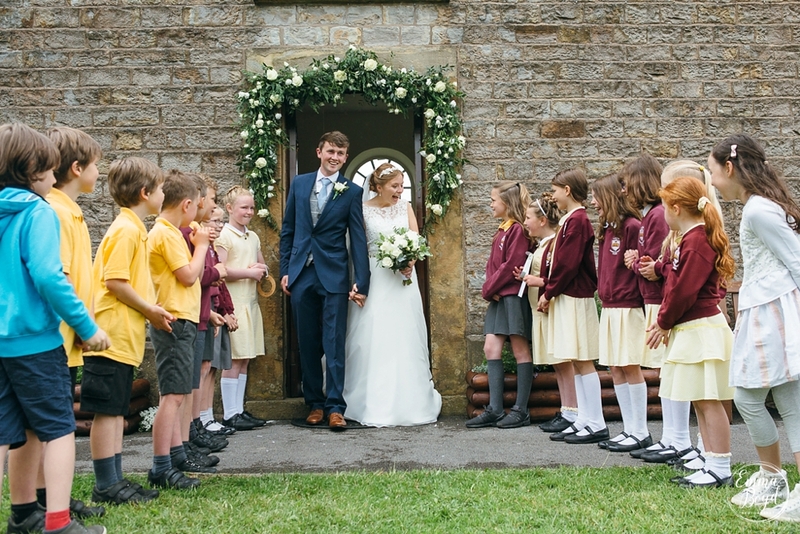 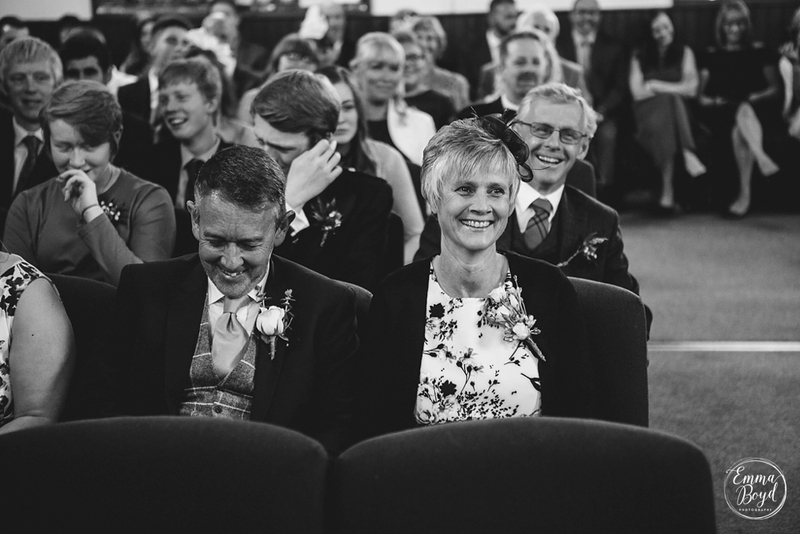 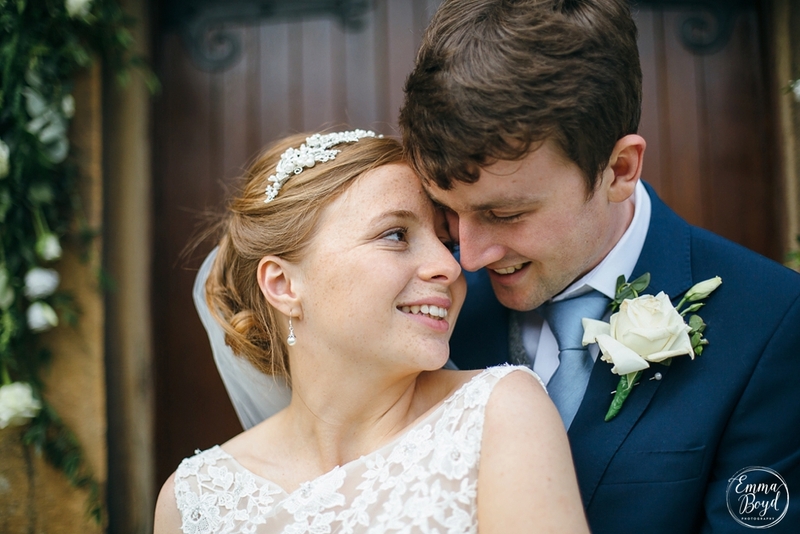 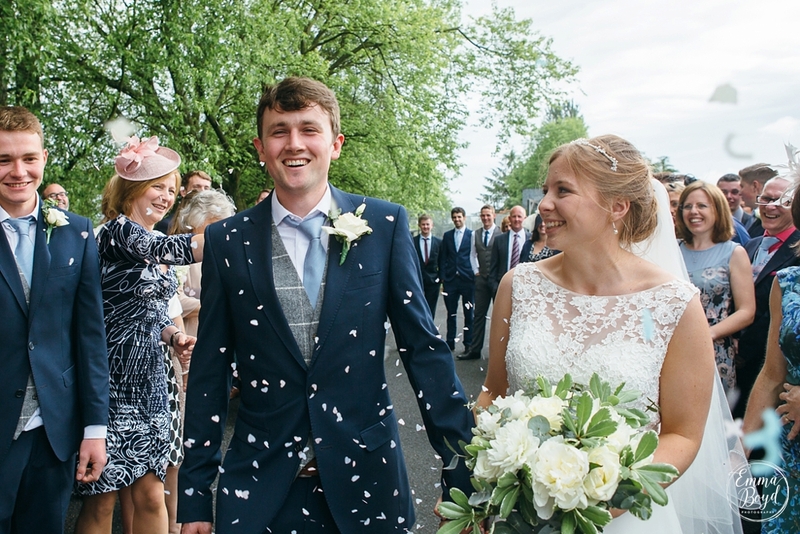 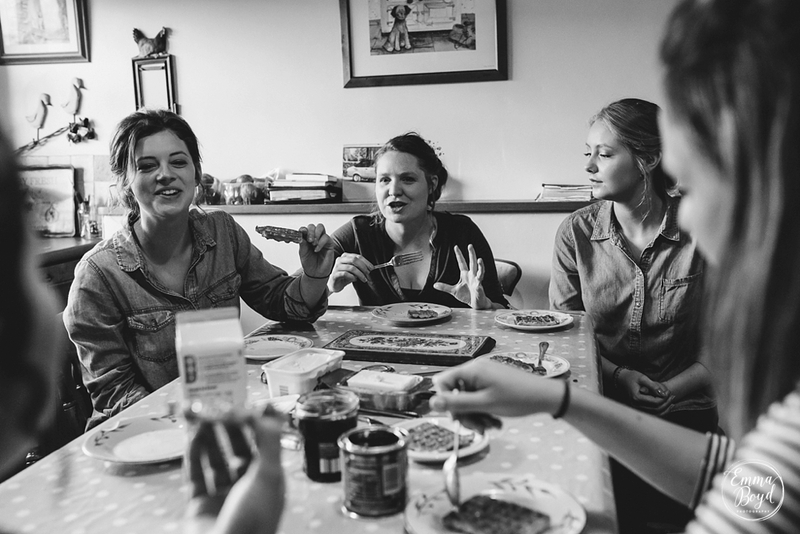 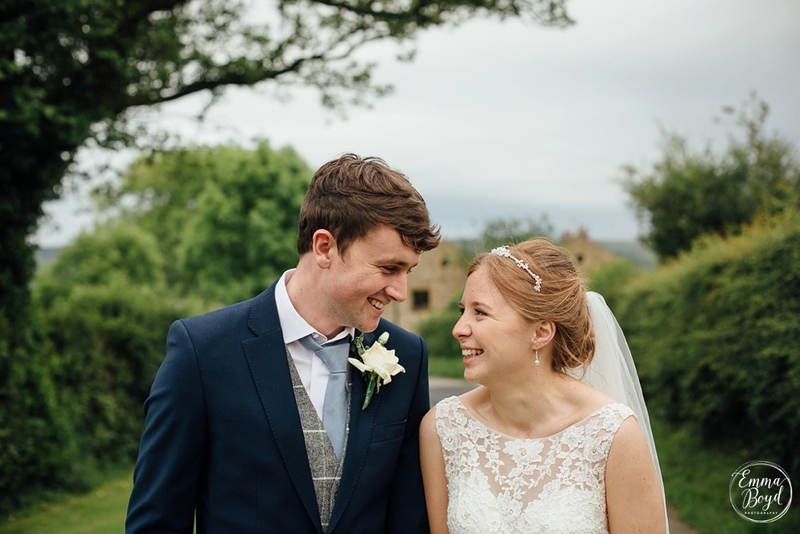 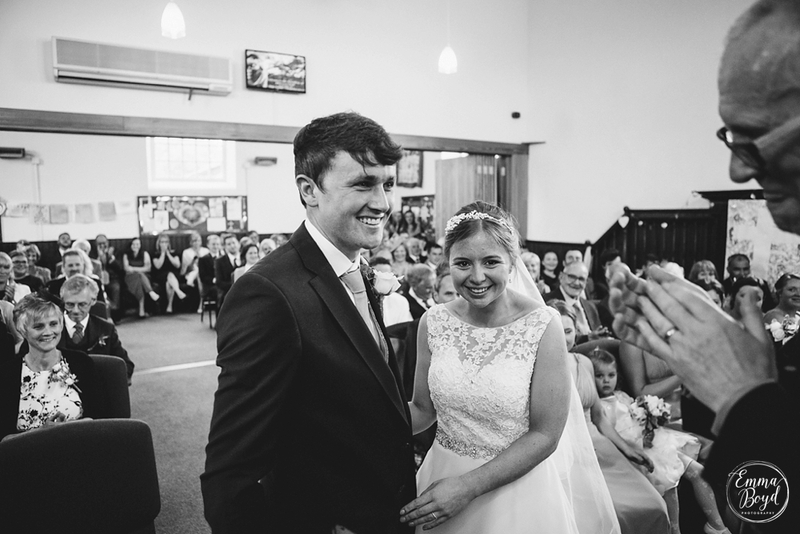 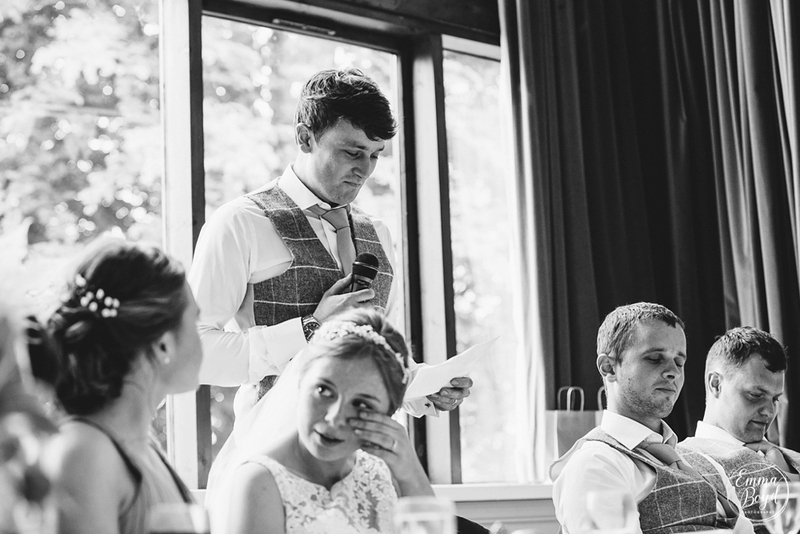 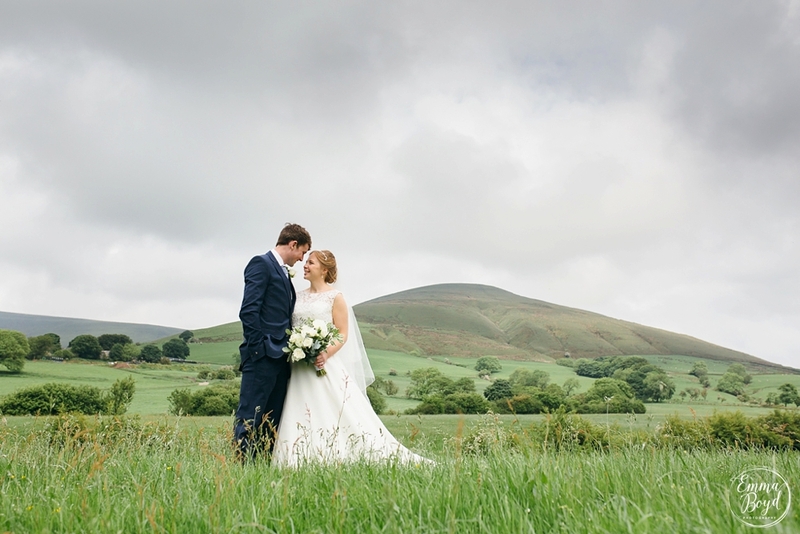 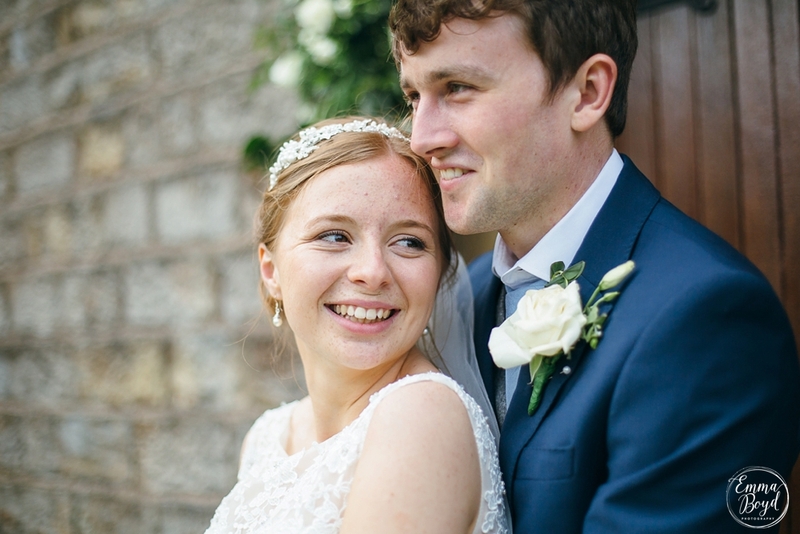 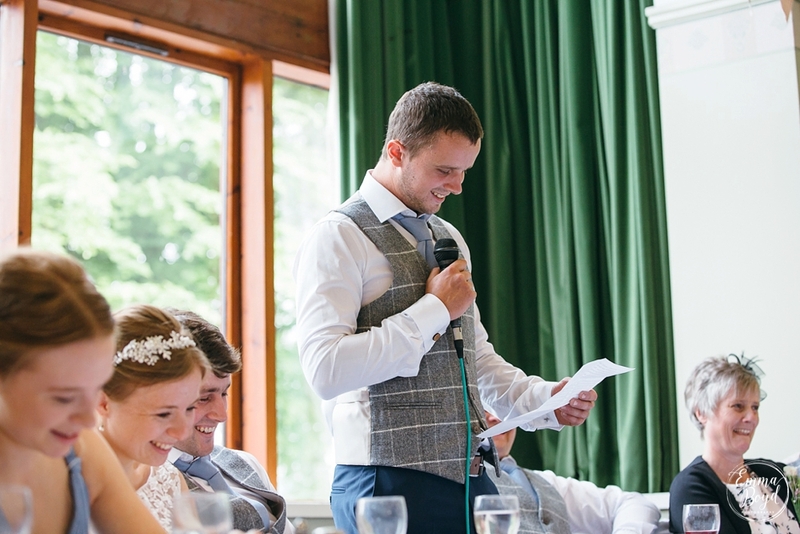 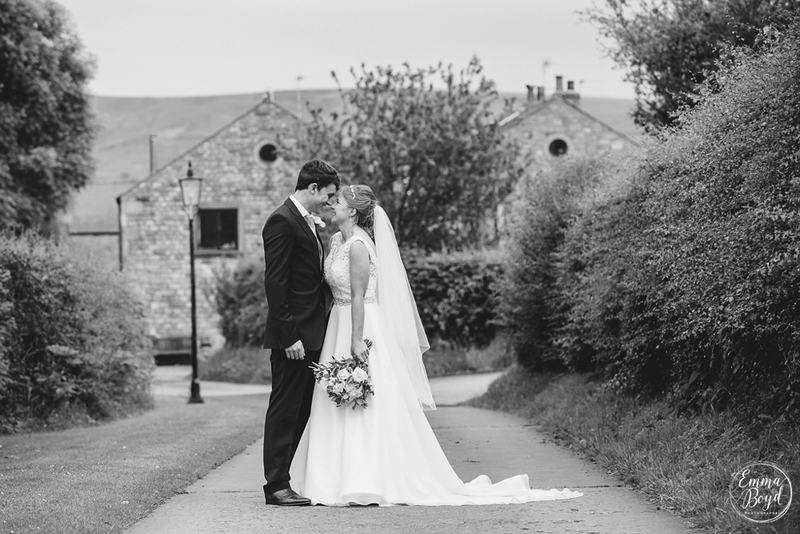 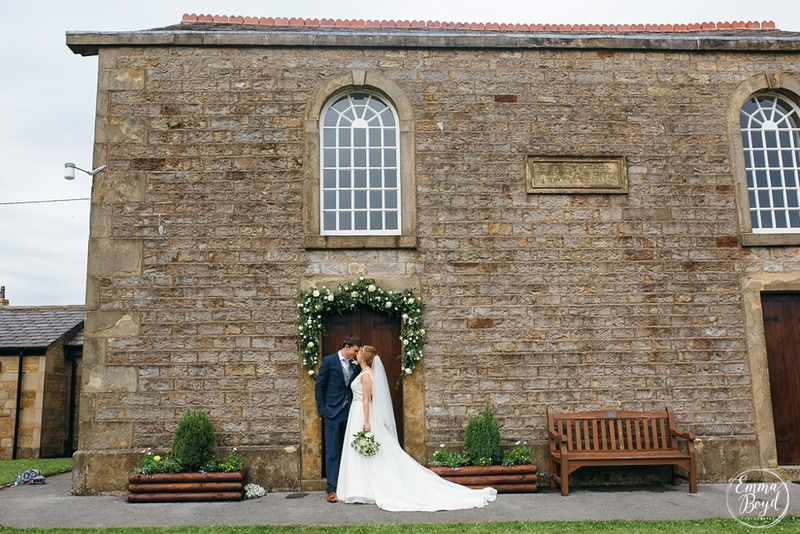 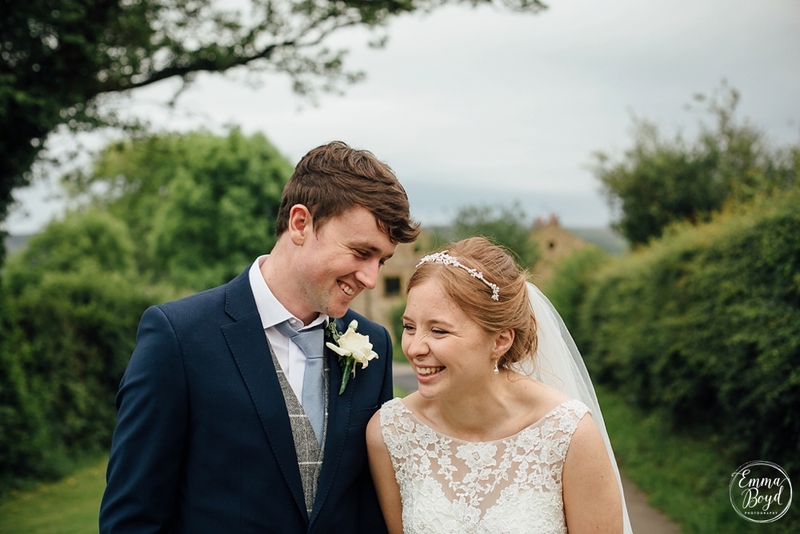 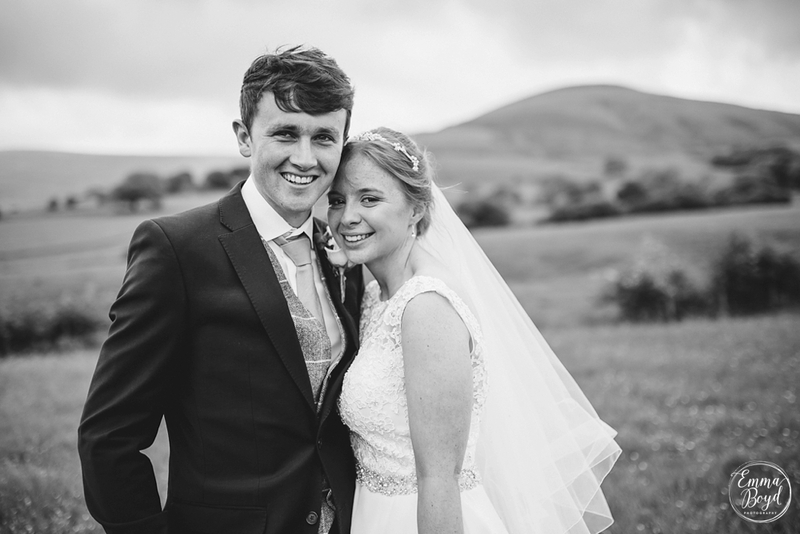 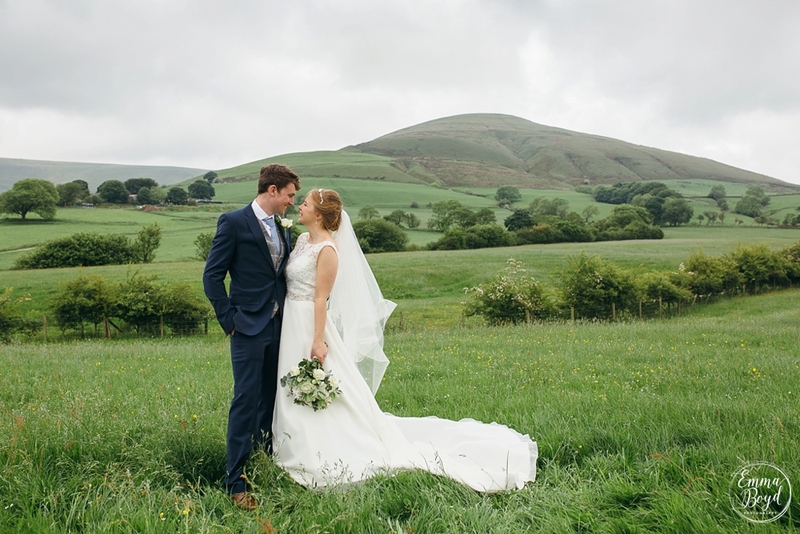 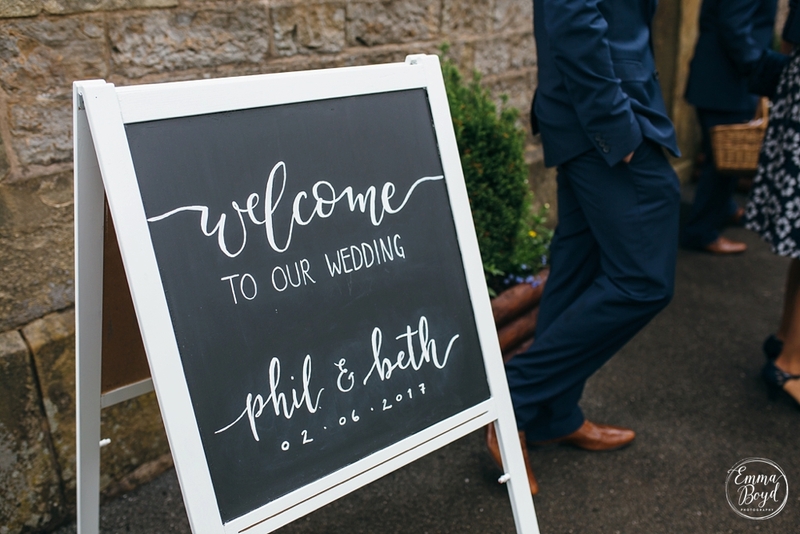 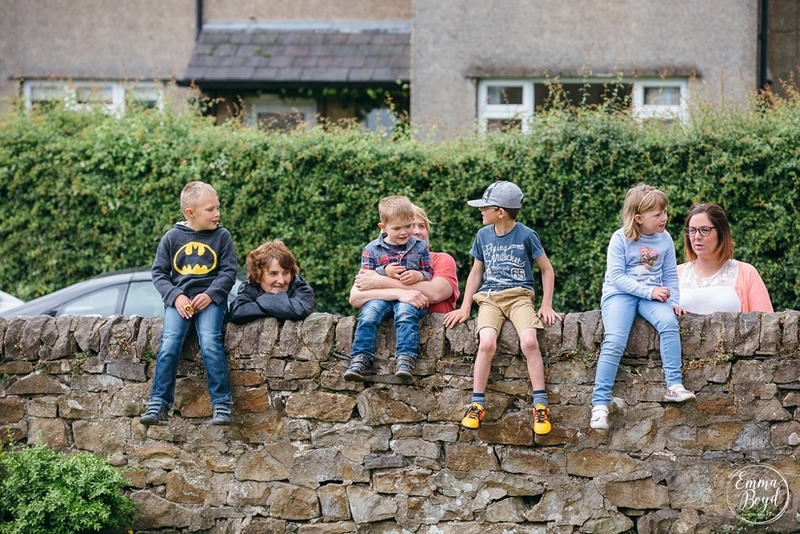 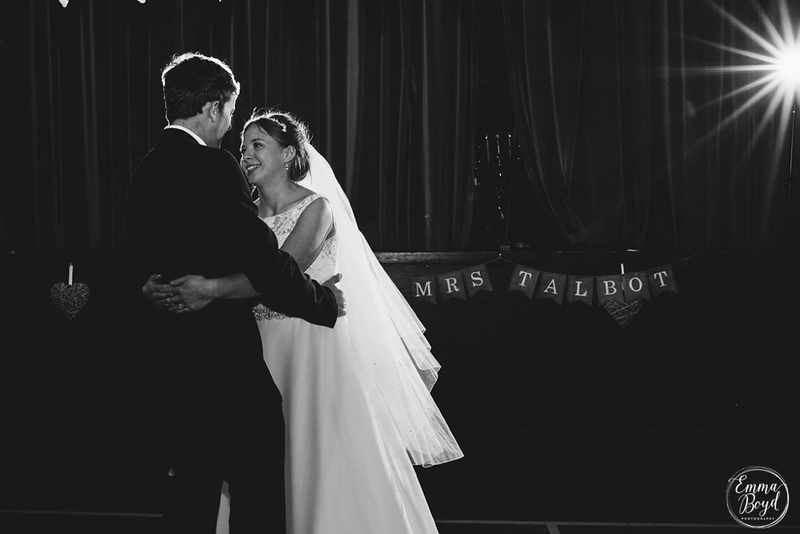 Beth & Phil | Chipping, England. 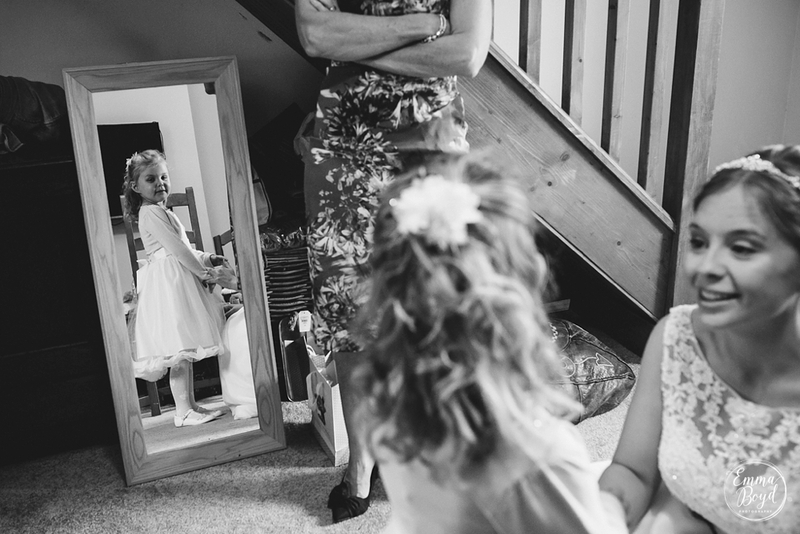 I spent the morning at Beth’s parents beautiful 17th Century farmhouse in the Lancashire countryside. 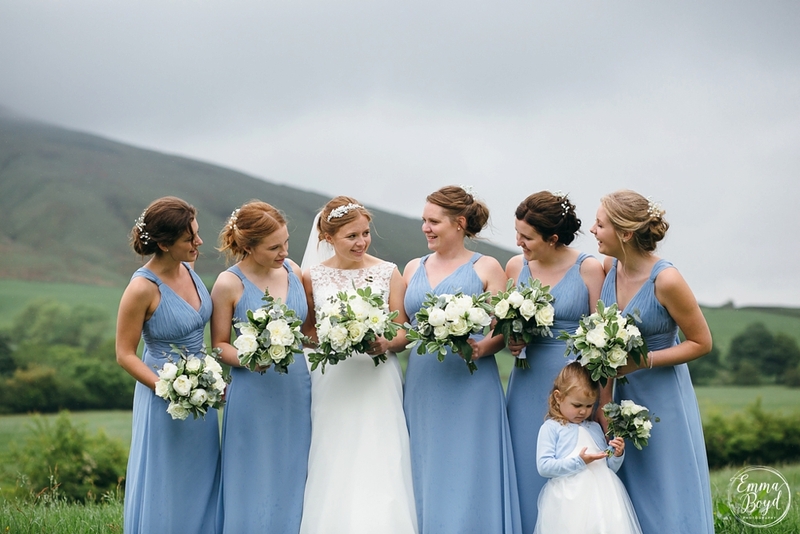 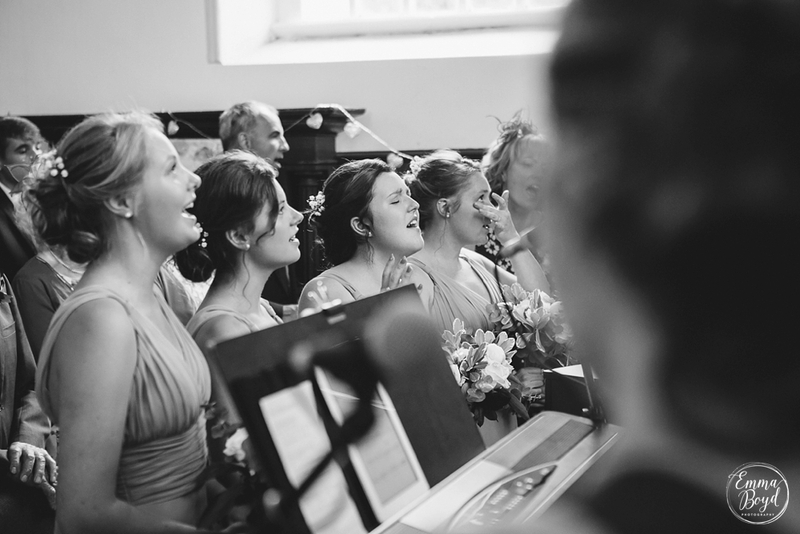 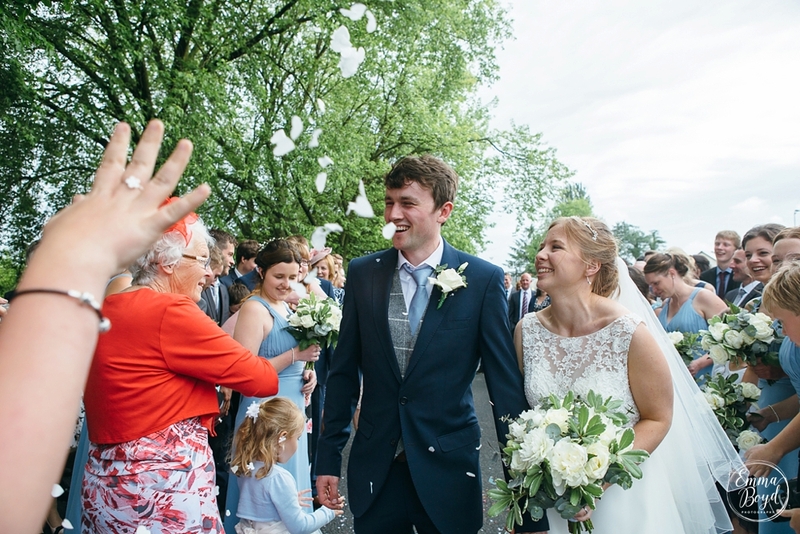 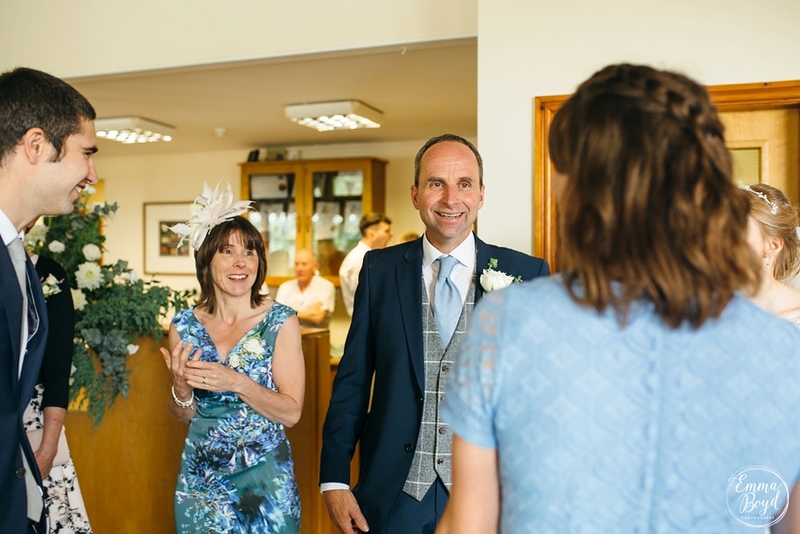 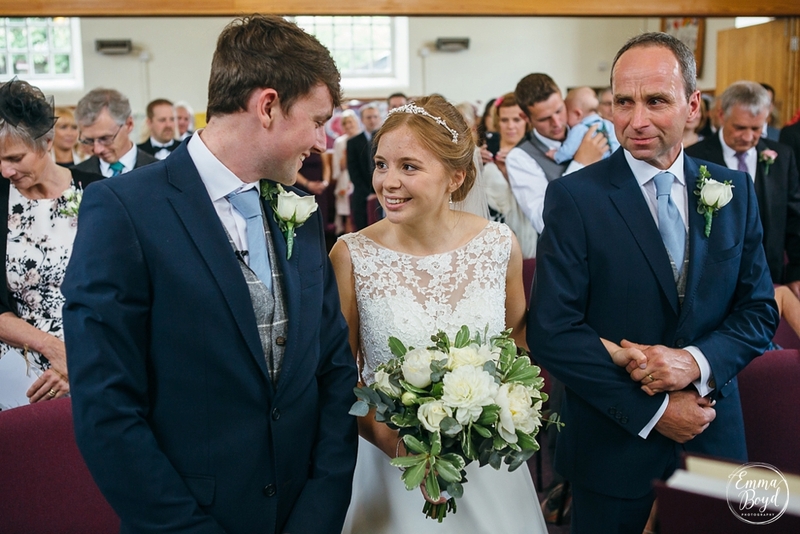 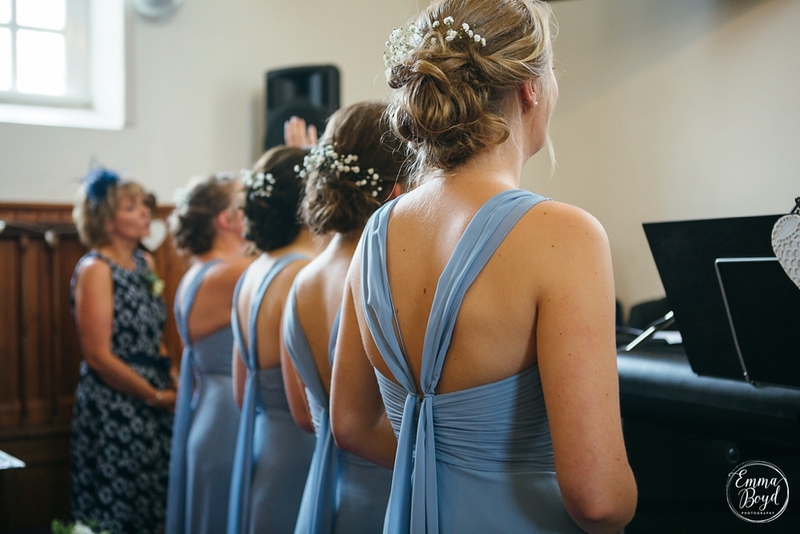 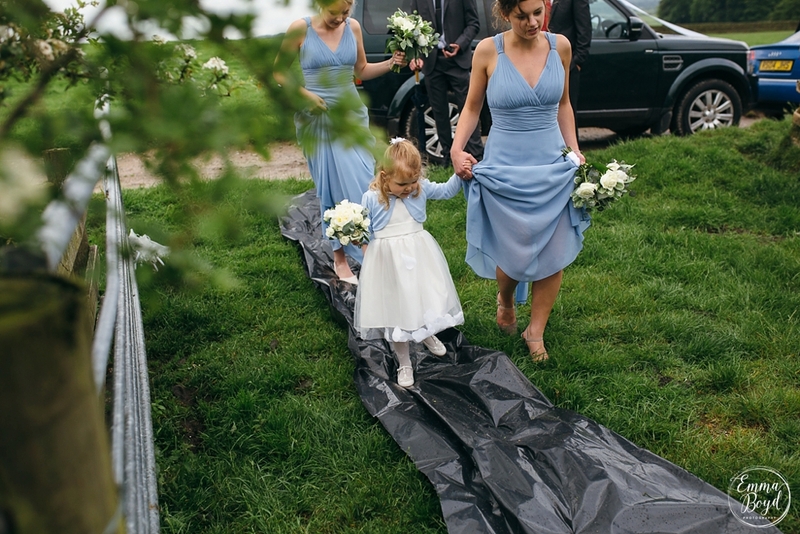 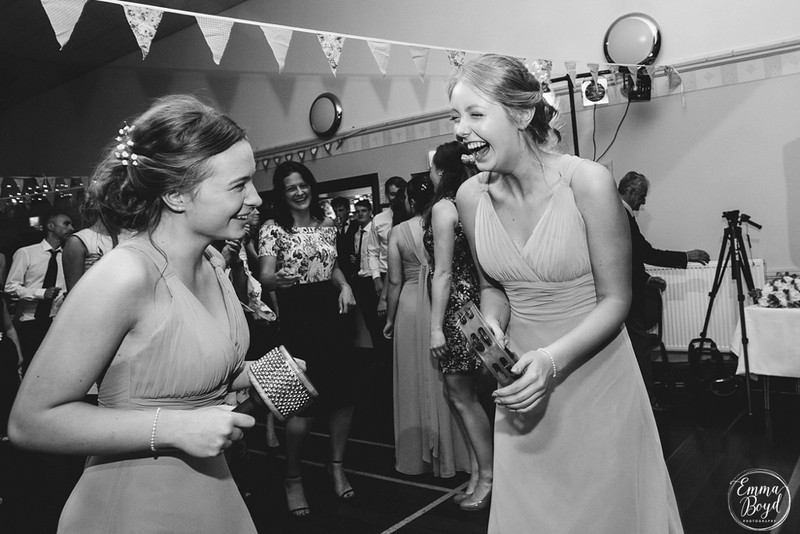 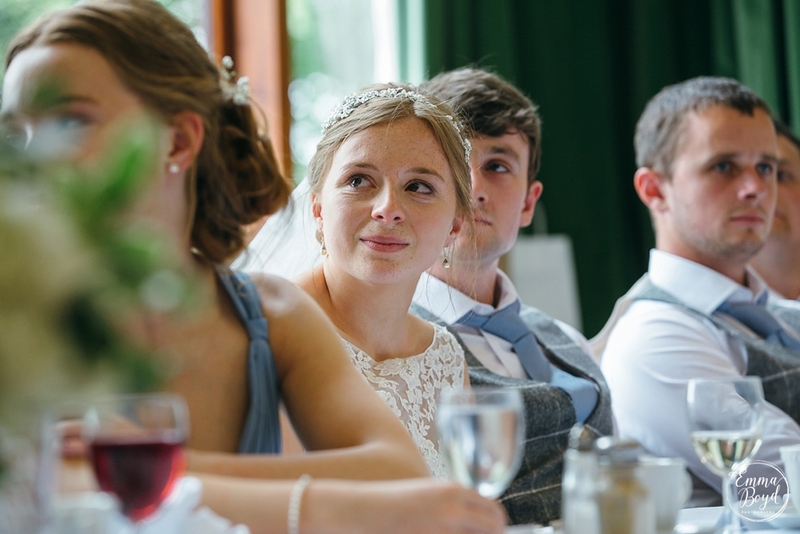 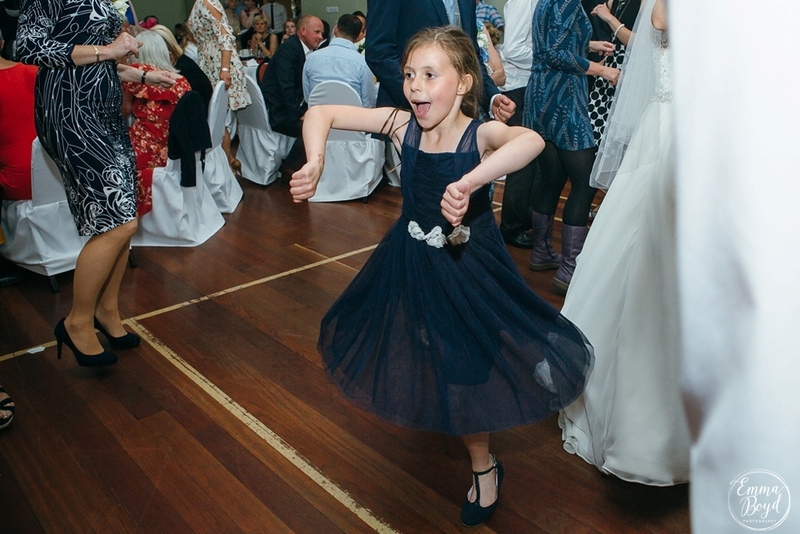 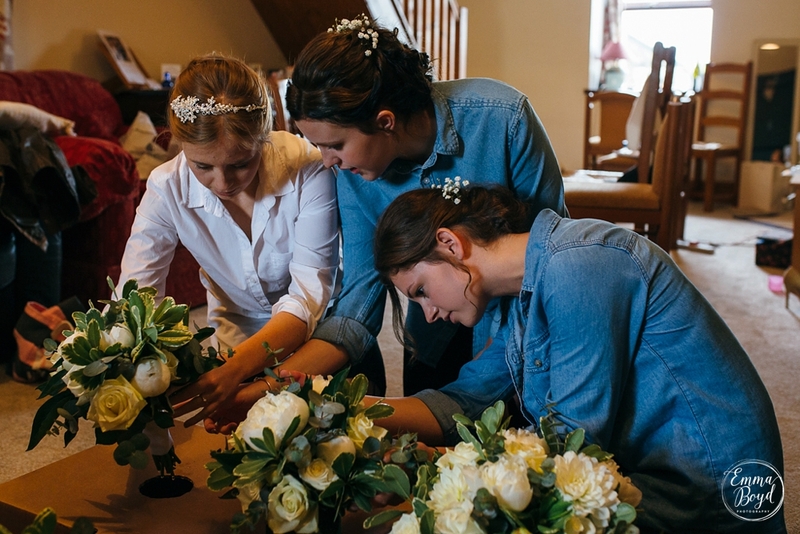 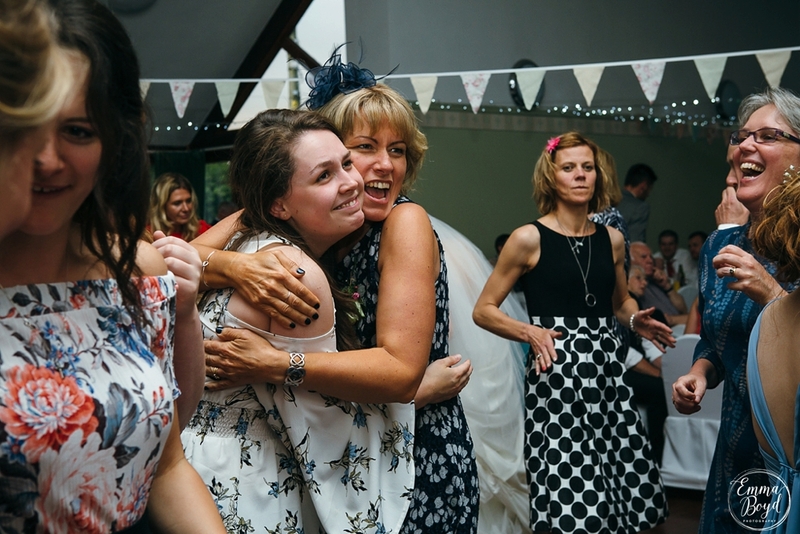 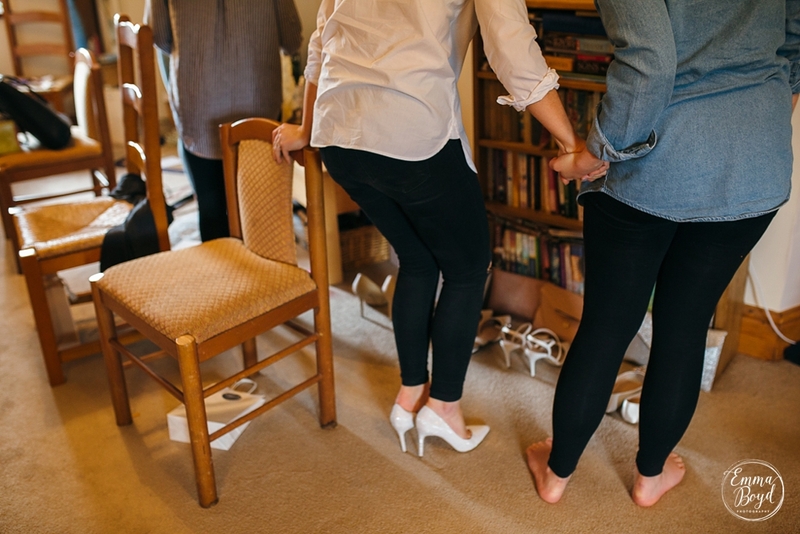 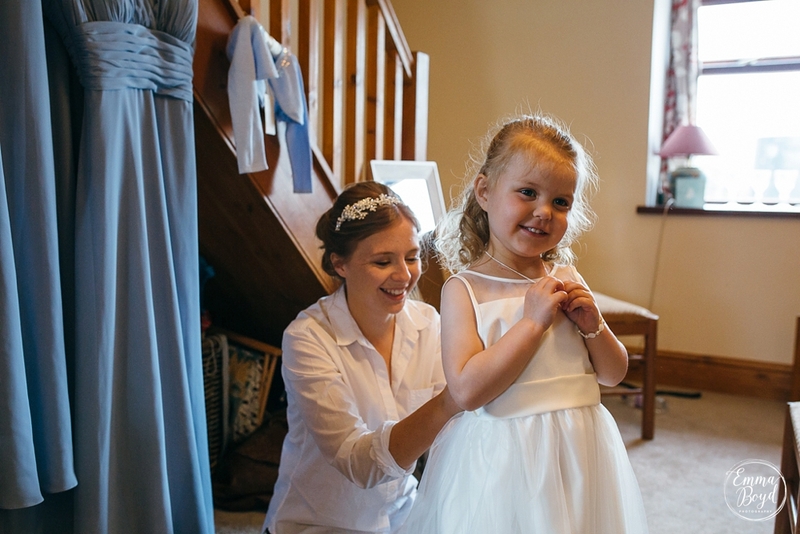 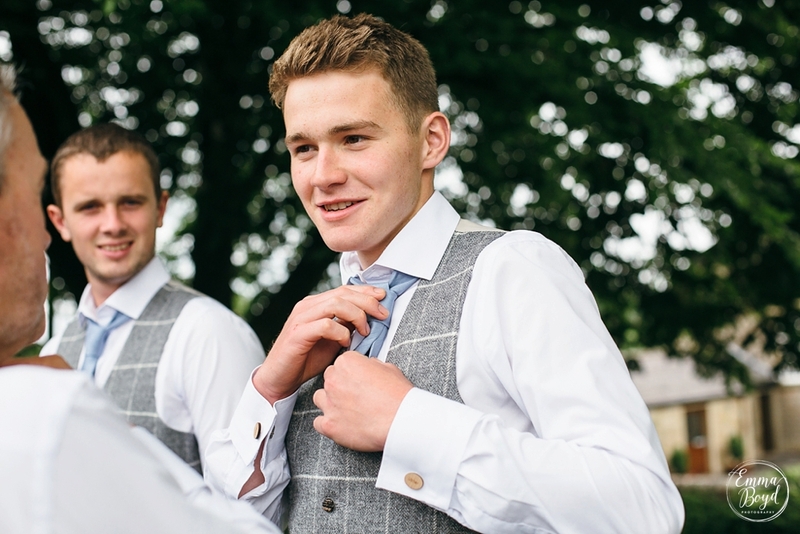 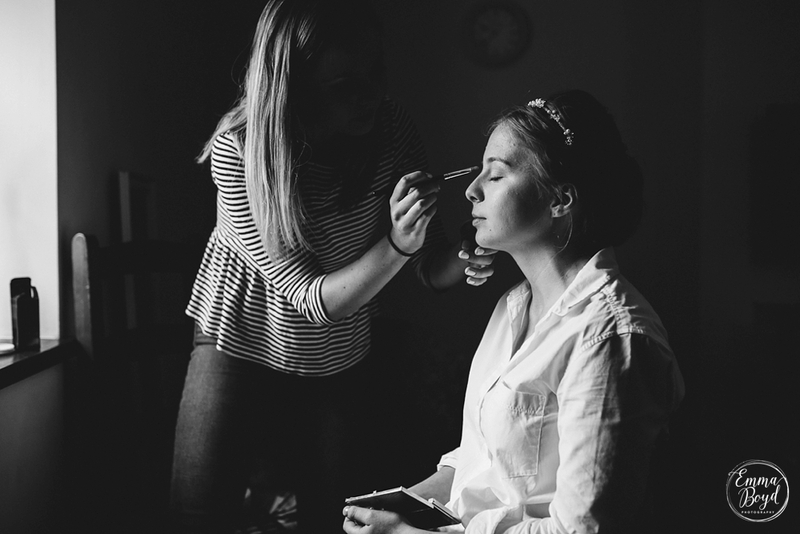 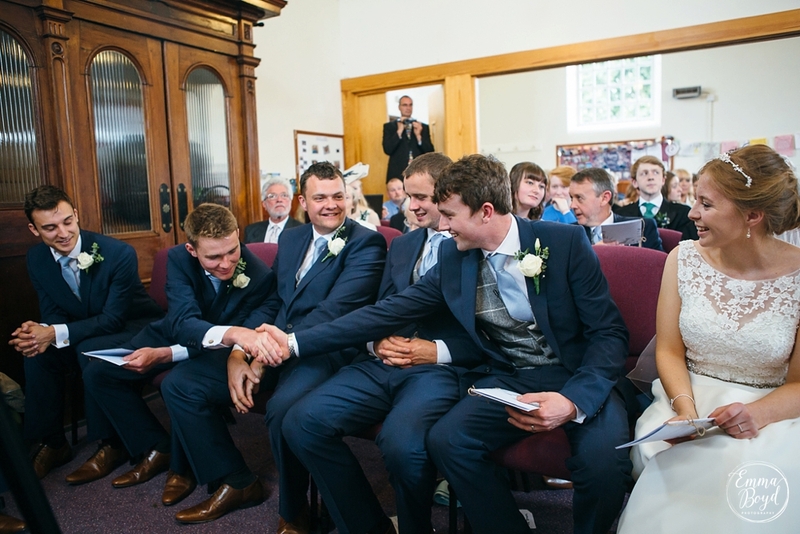 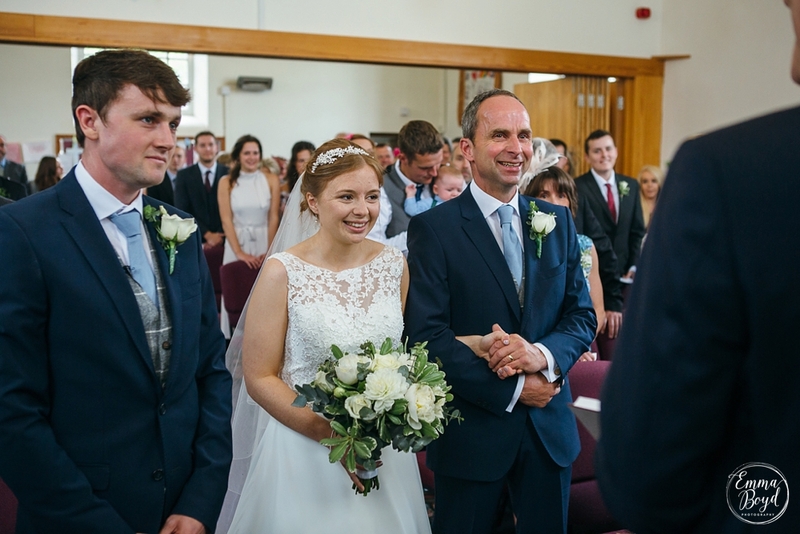 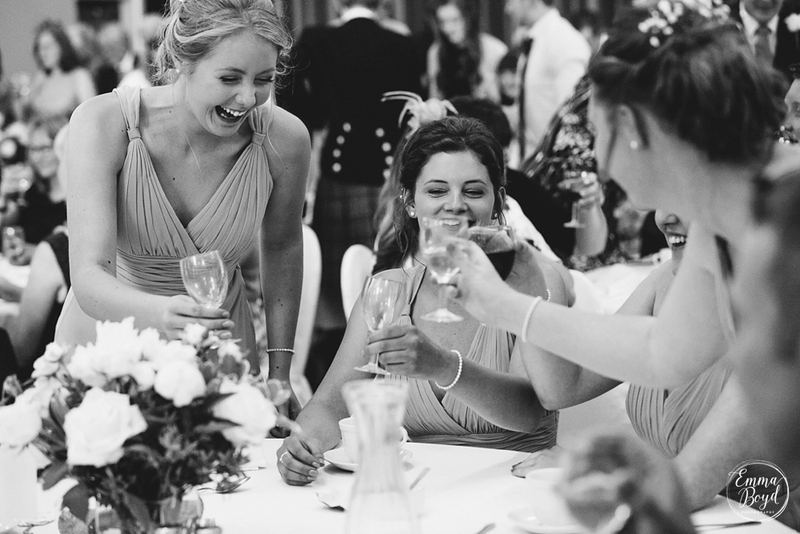 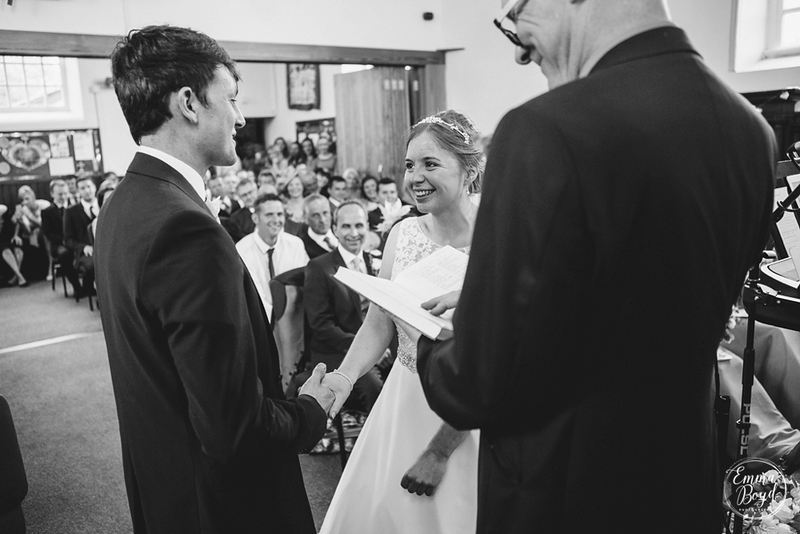 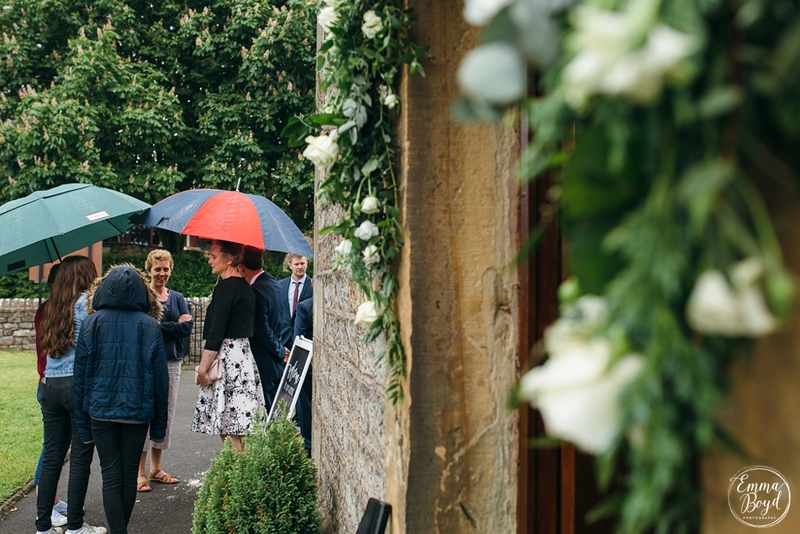 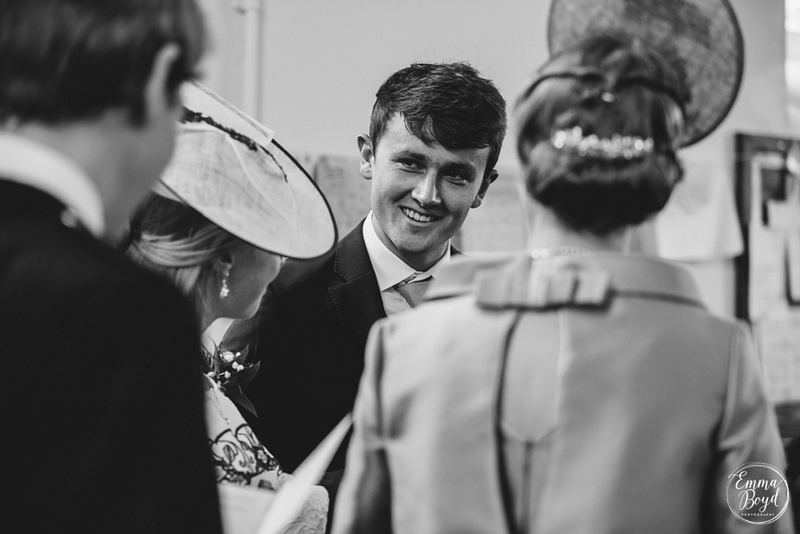 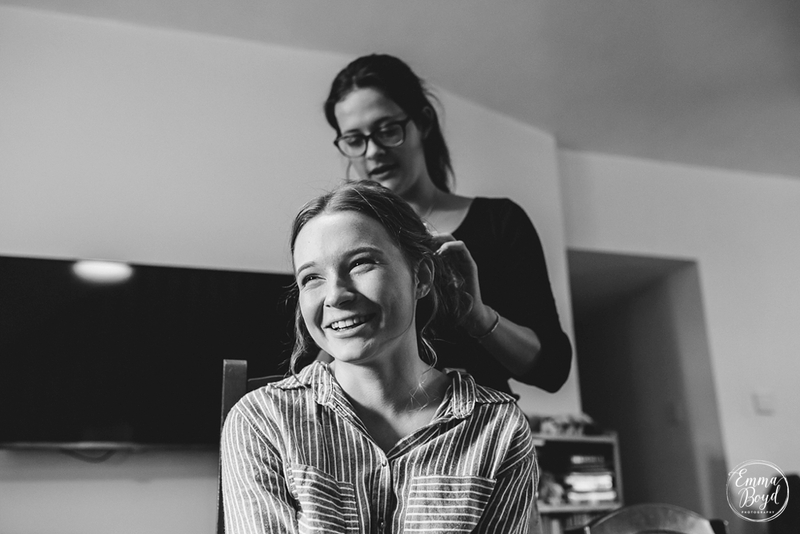 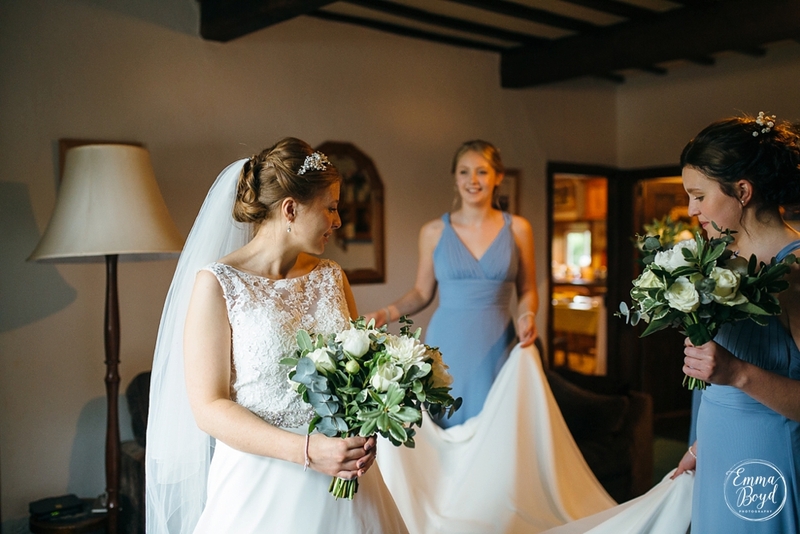 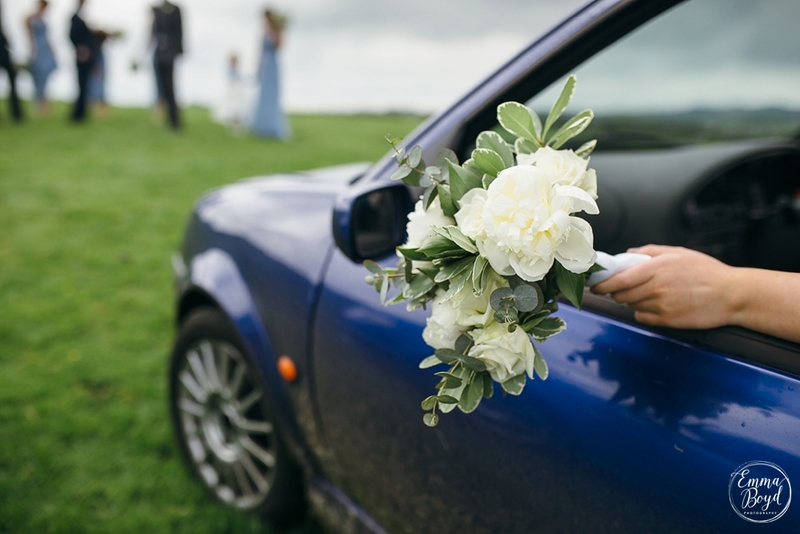 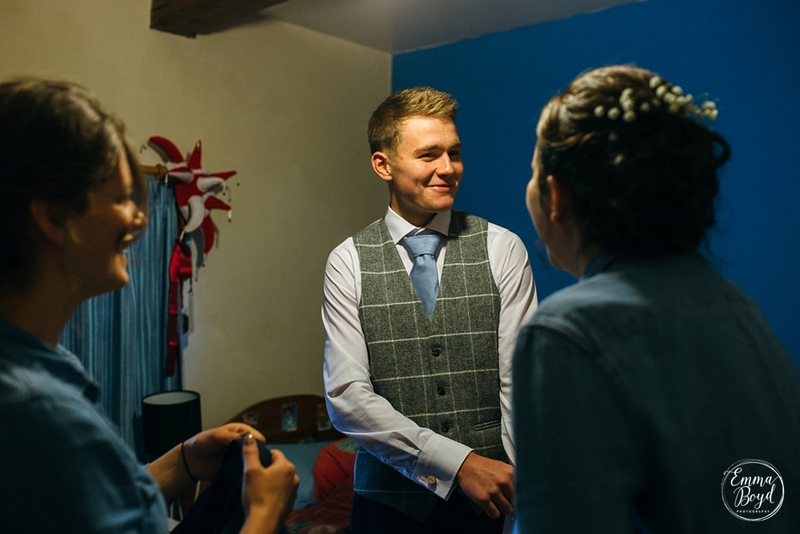 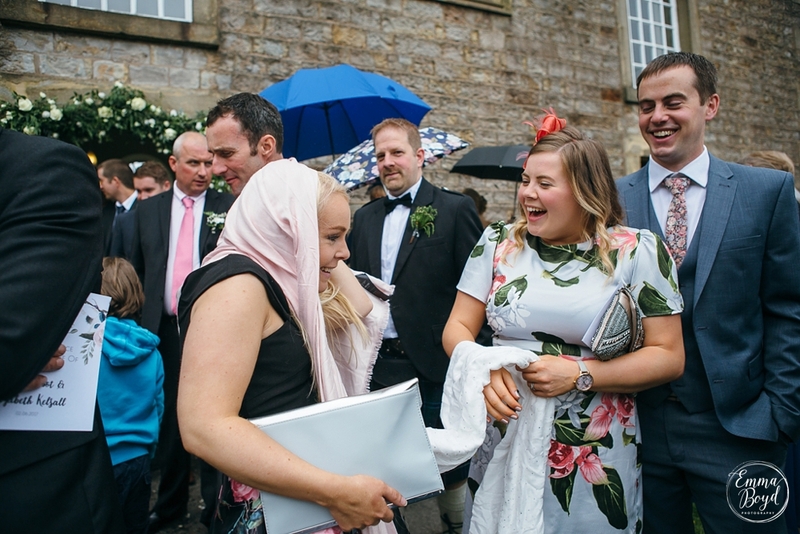 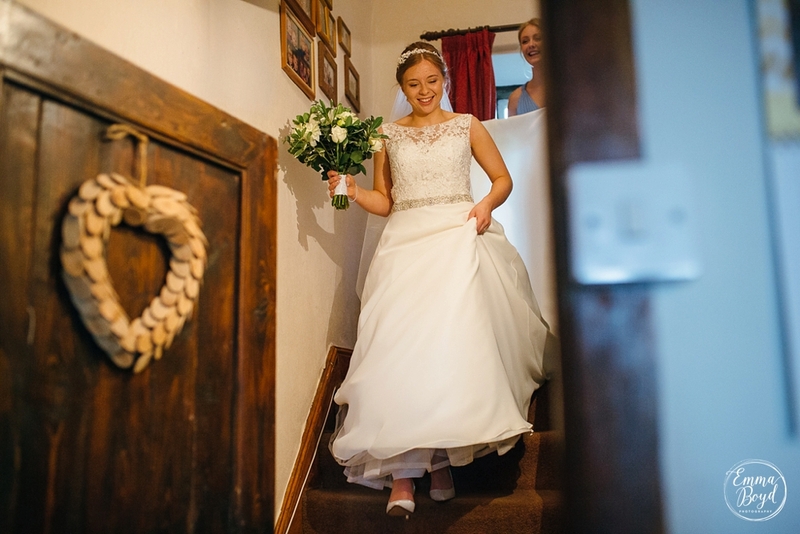 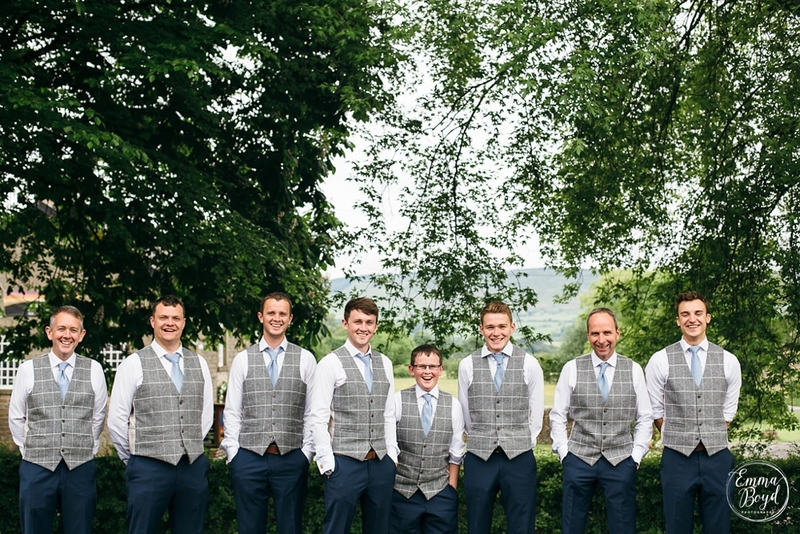 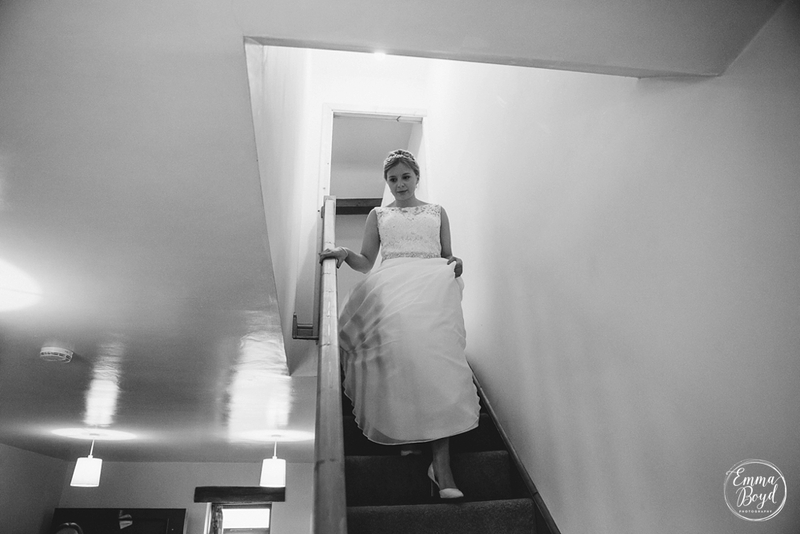 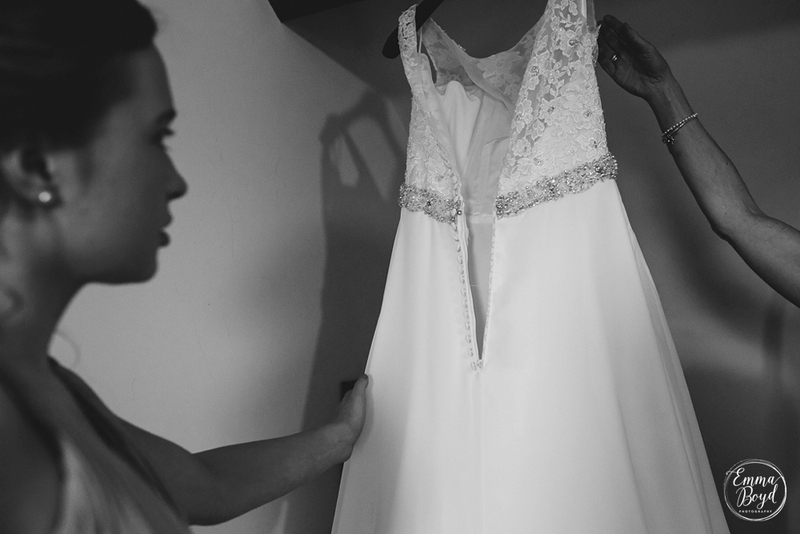 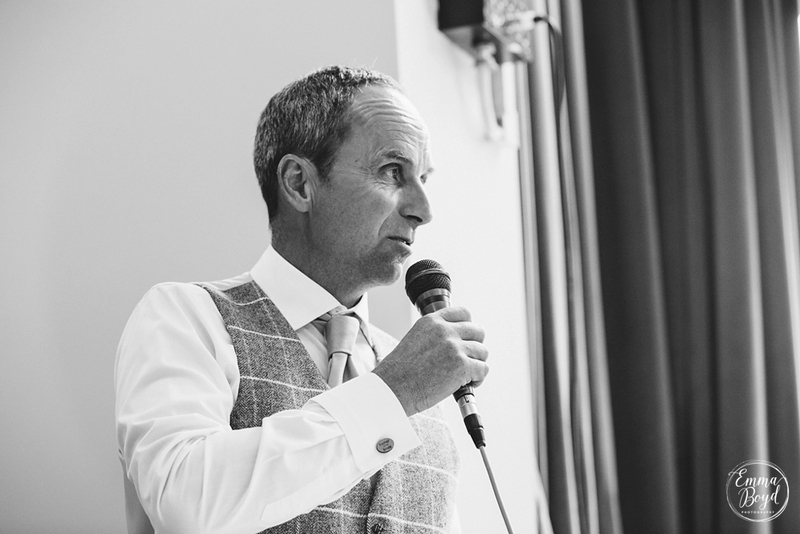 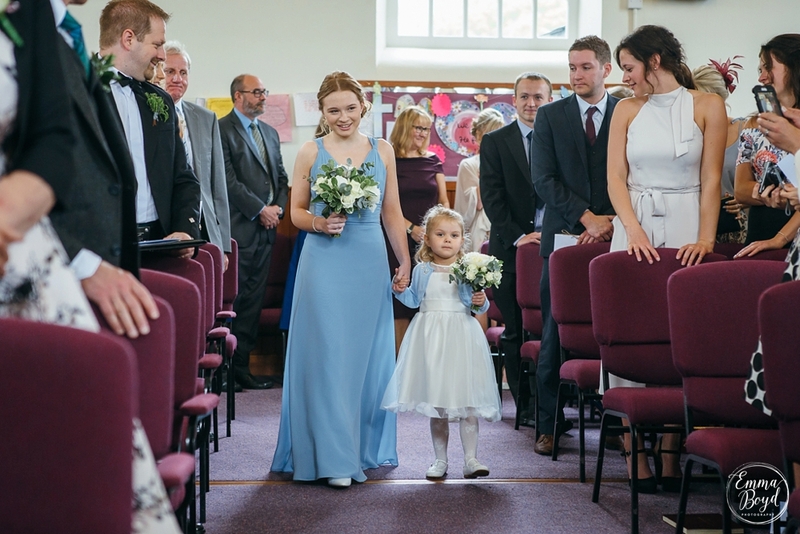 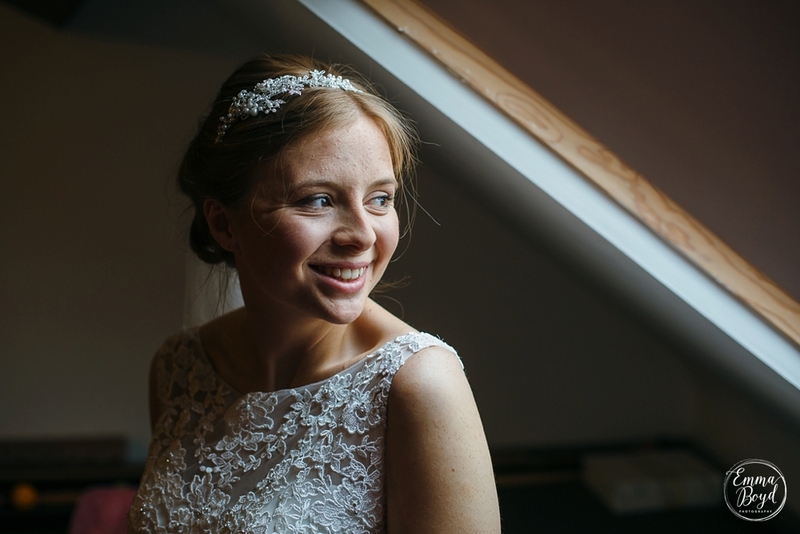 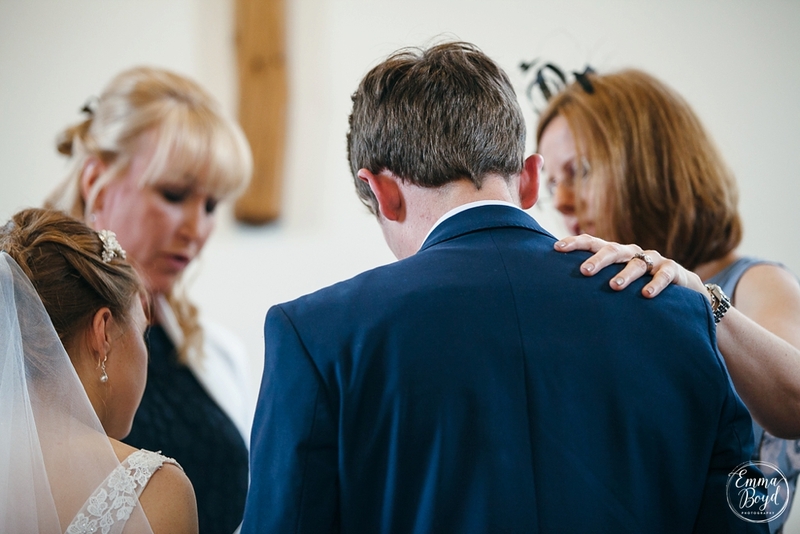 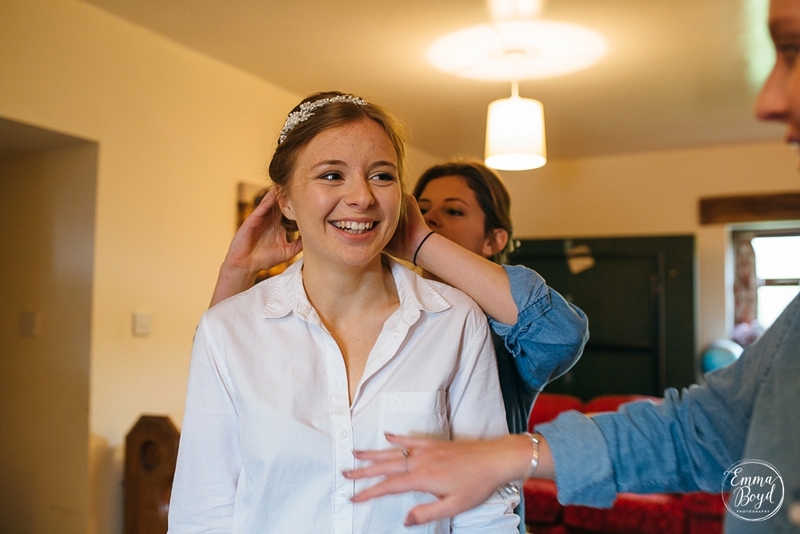 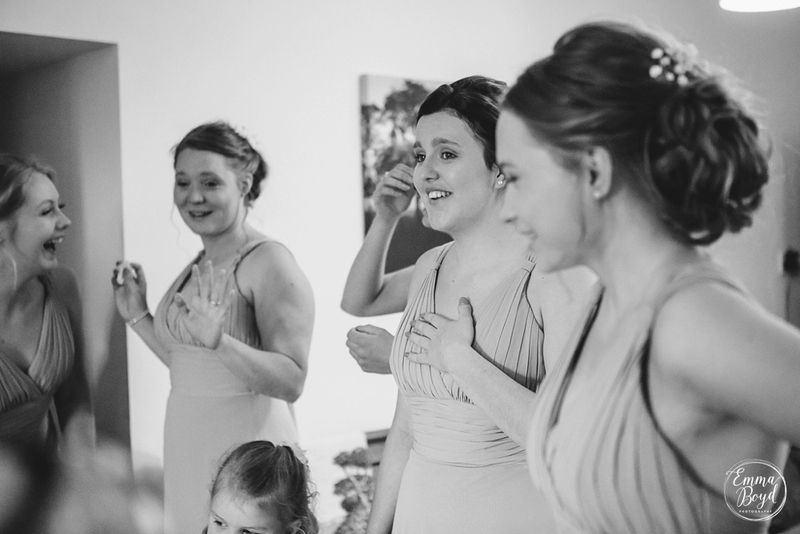 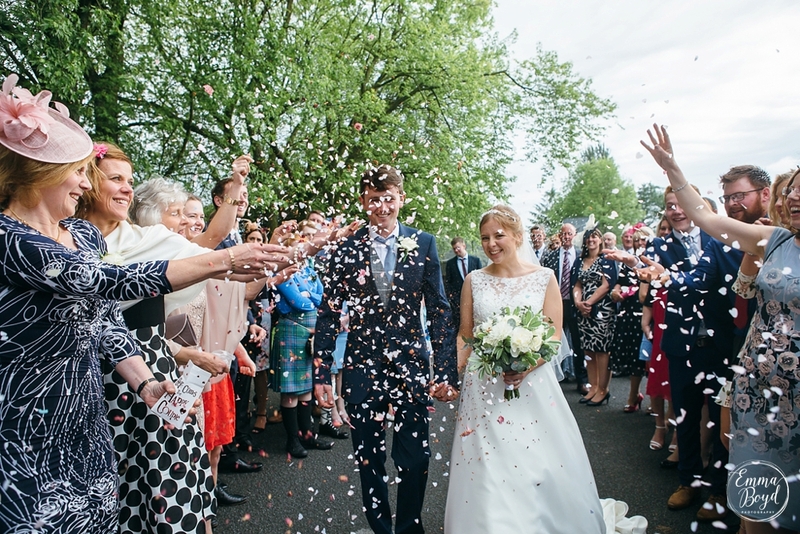 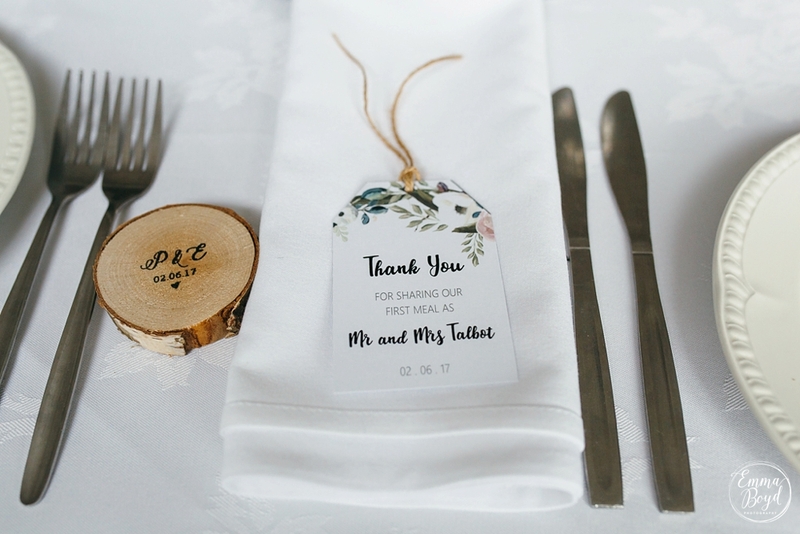 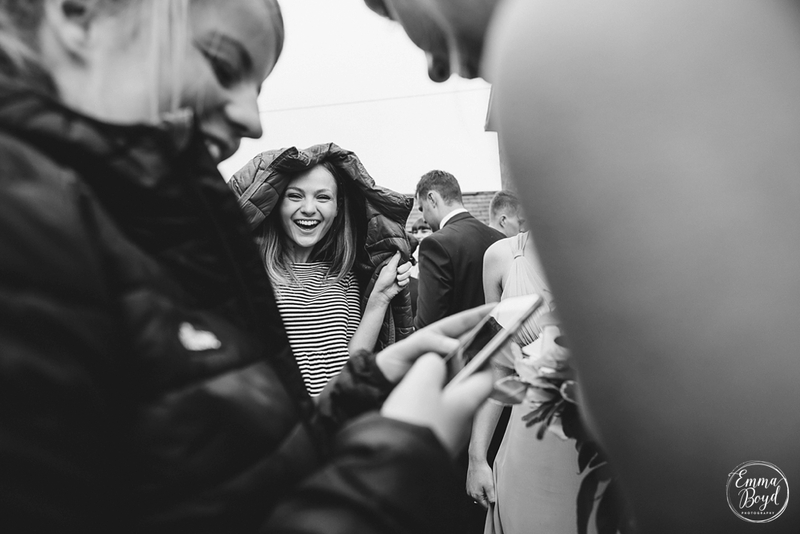 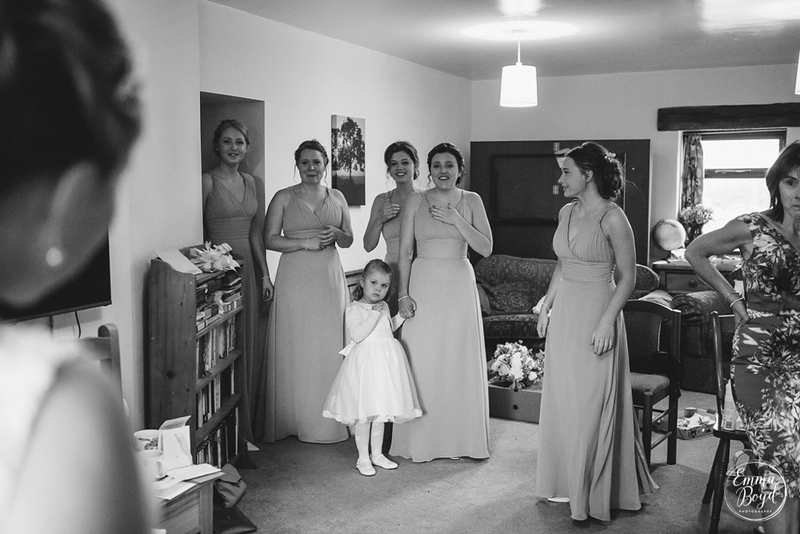 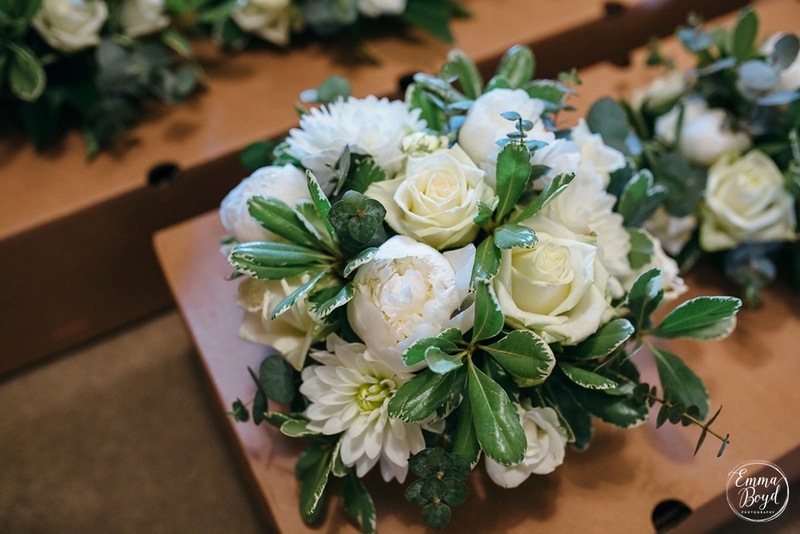 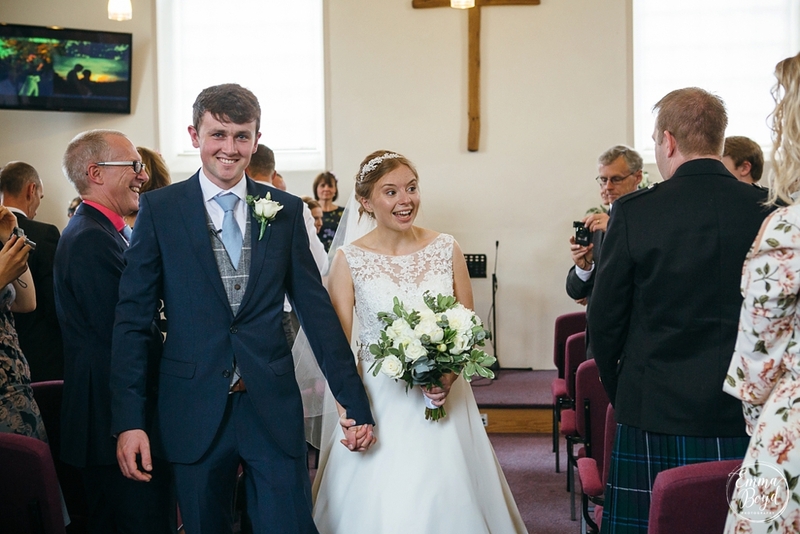 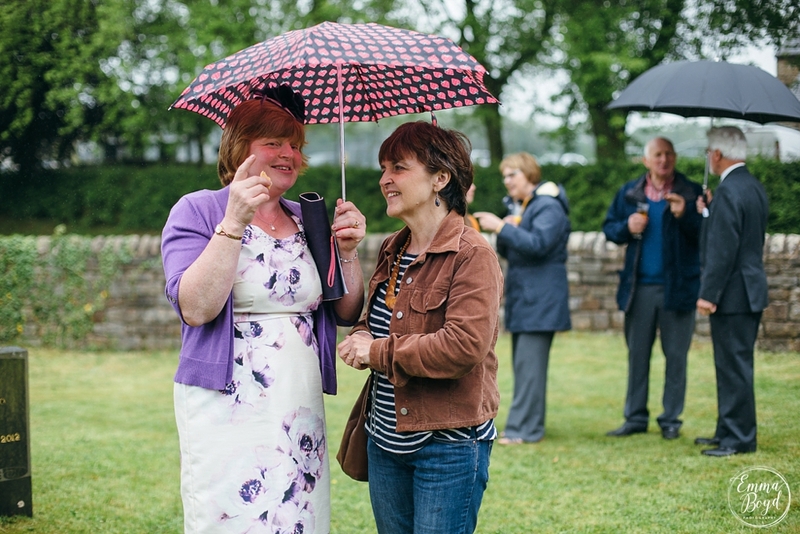 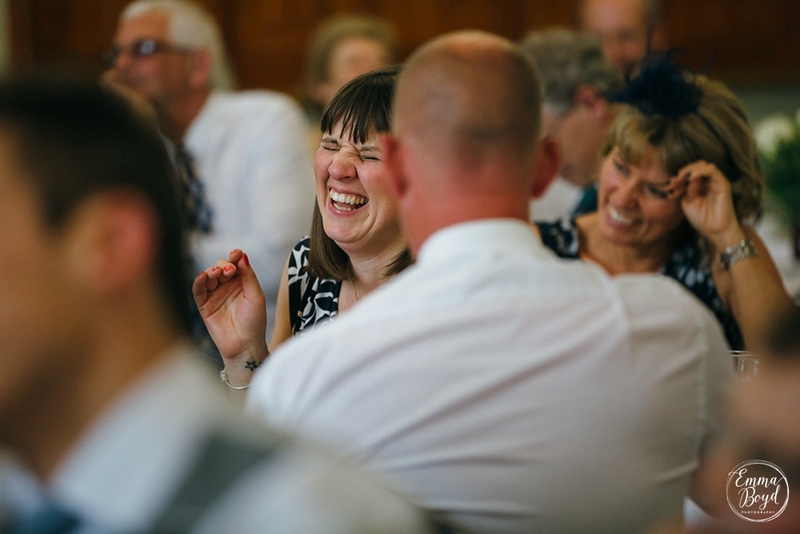 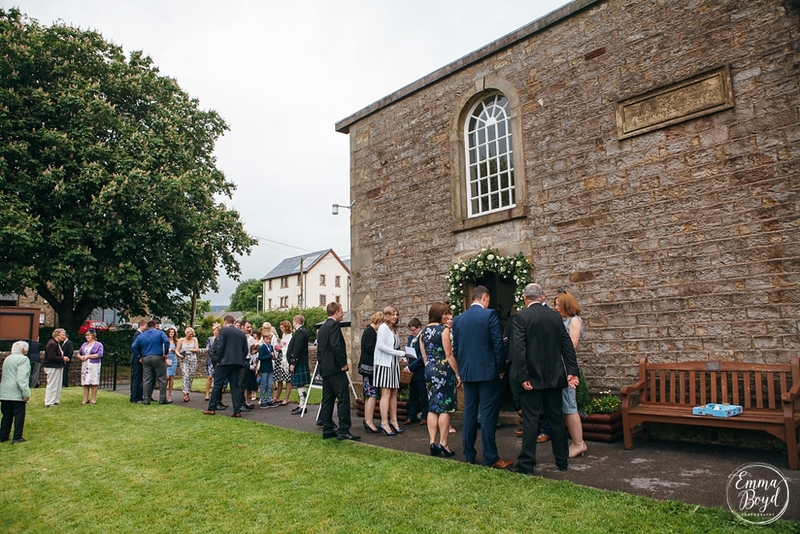 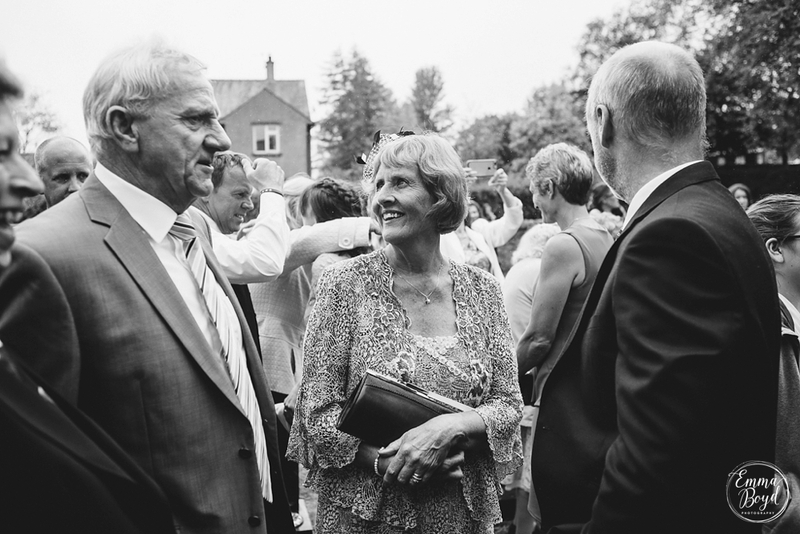 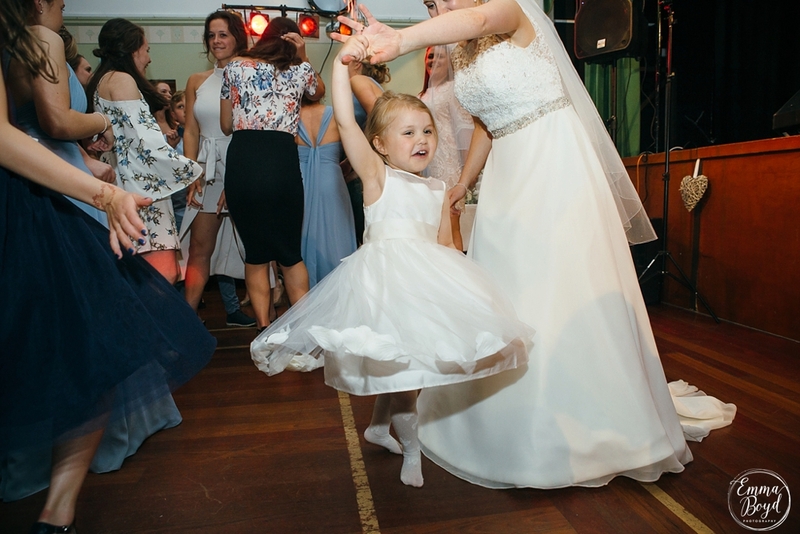 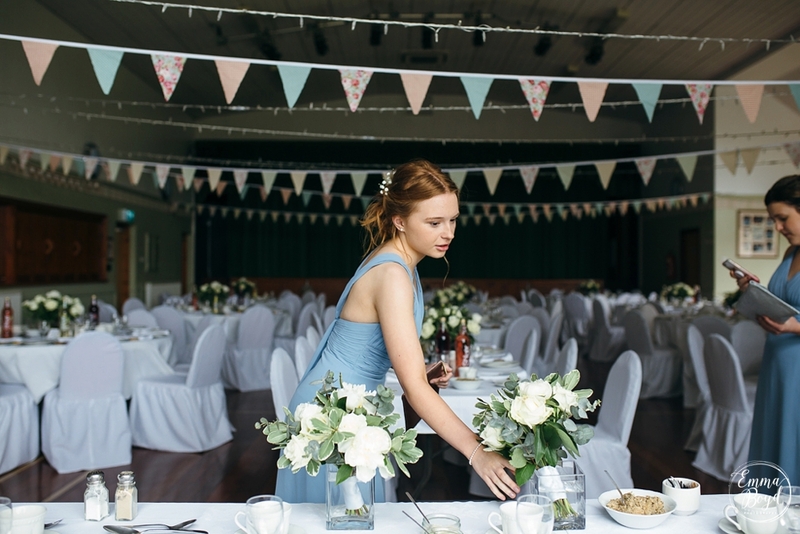 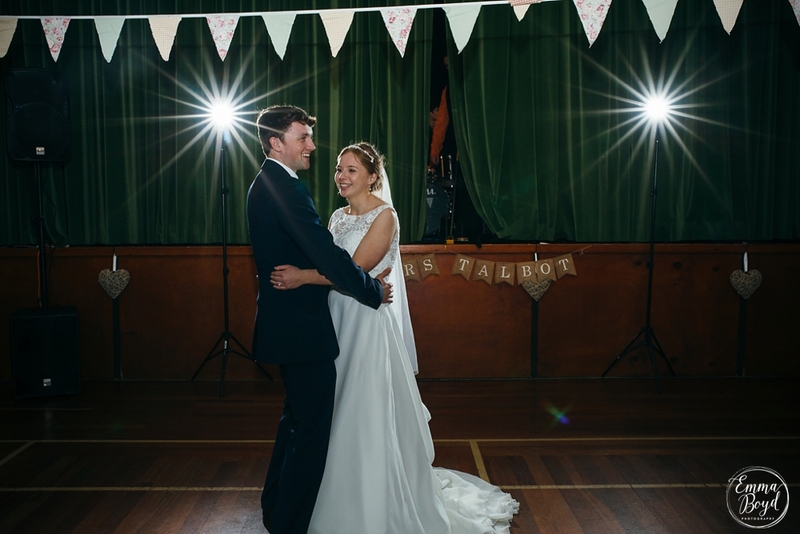 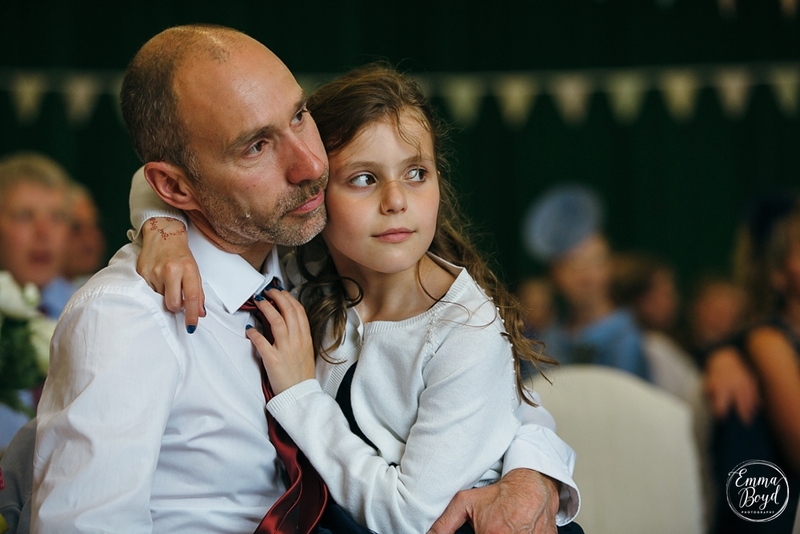 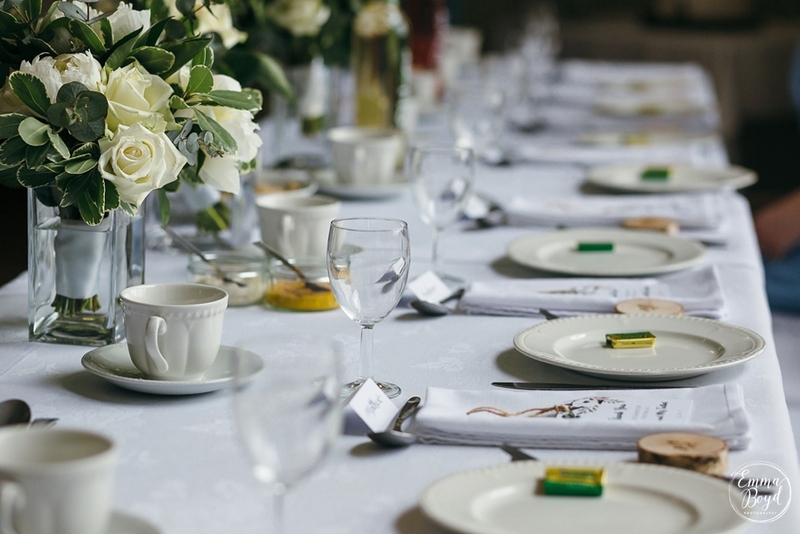 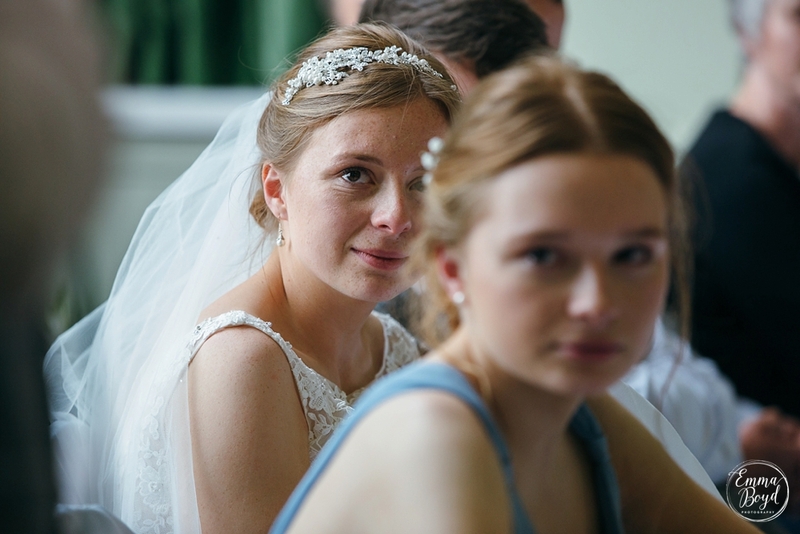 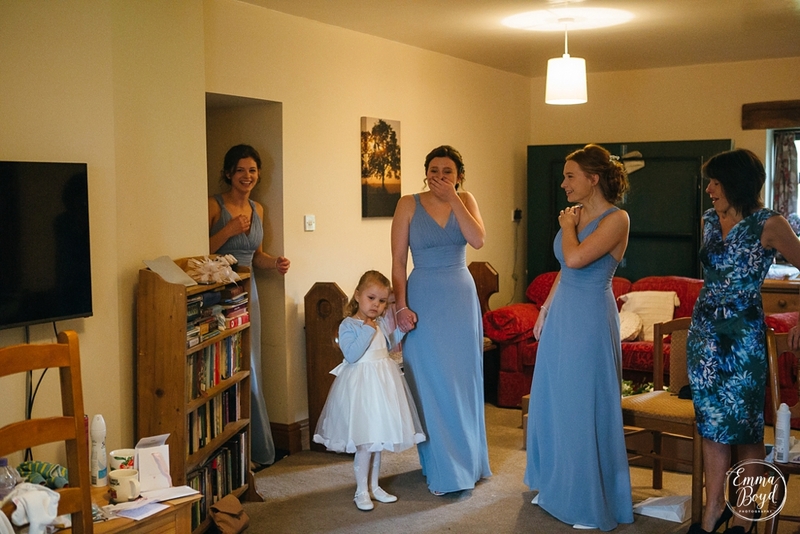 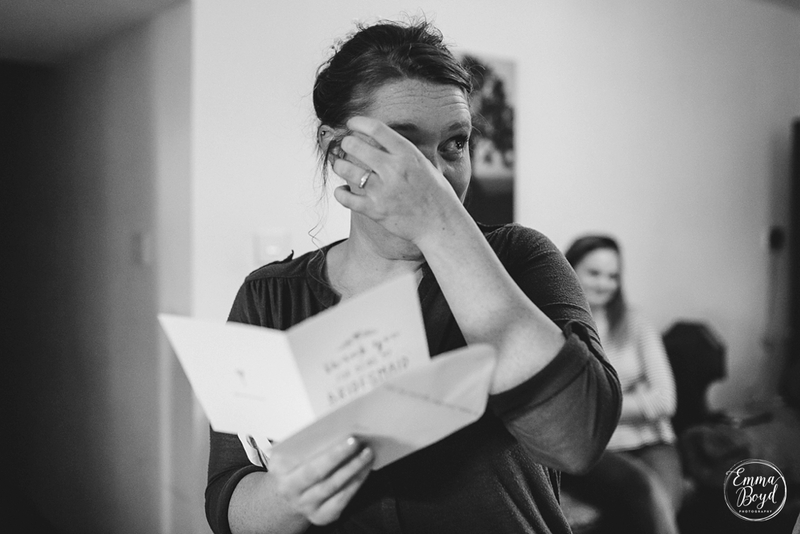 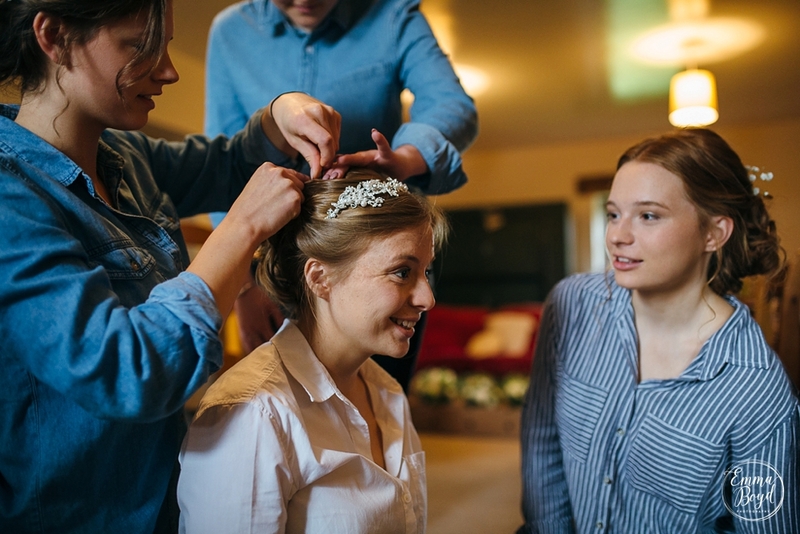 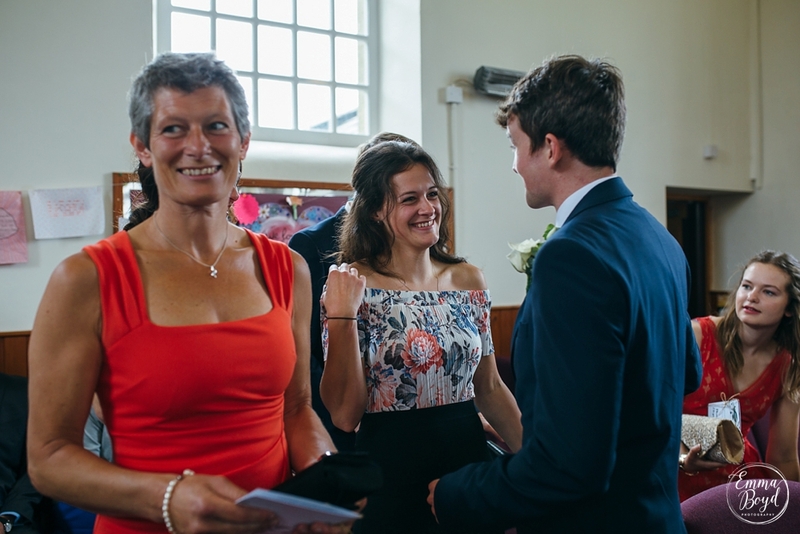 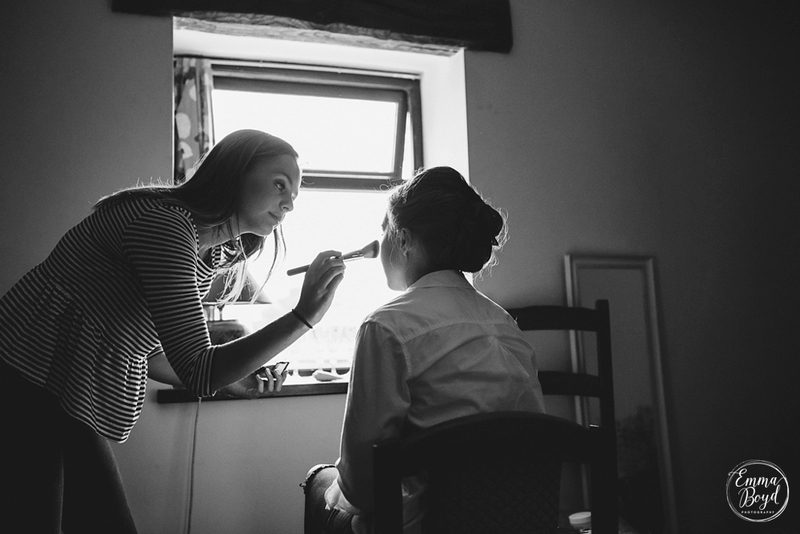 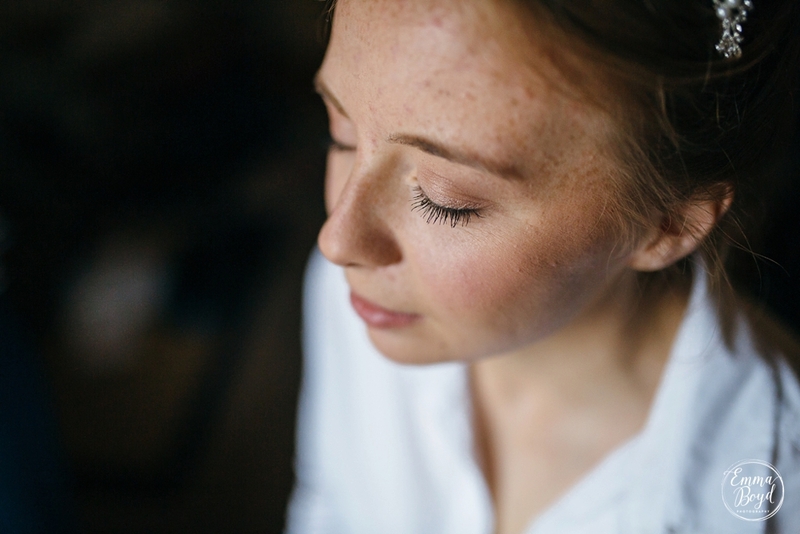 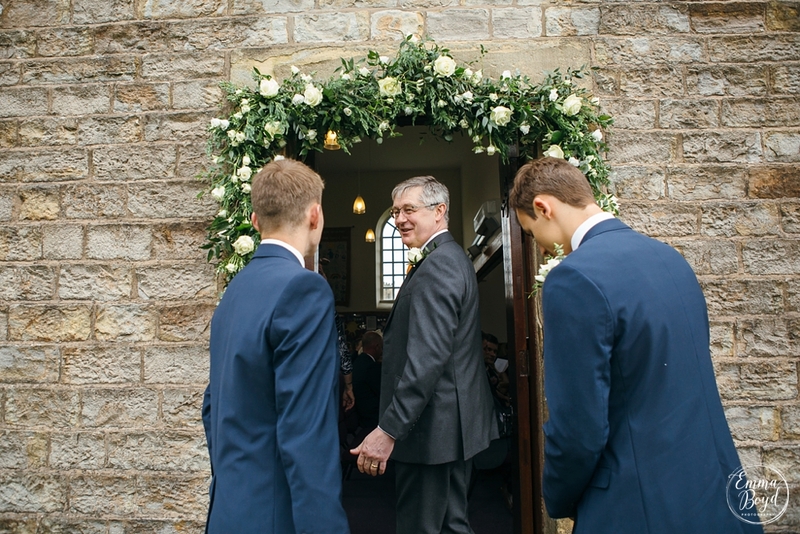 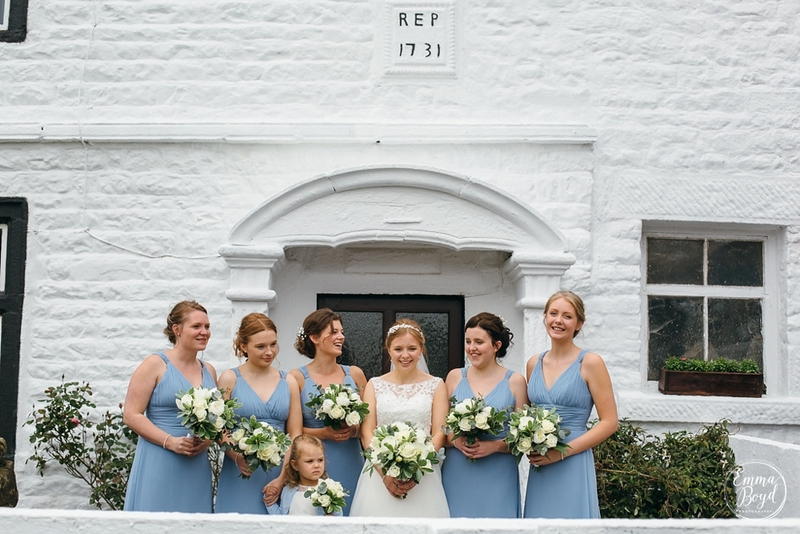 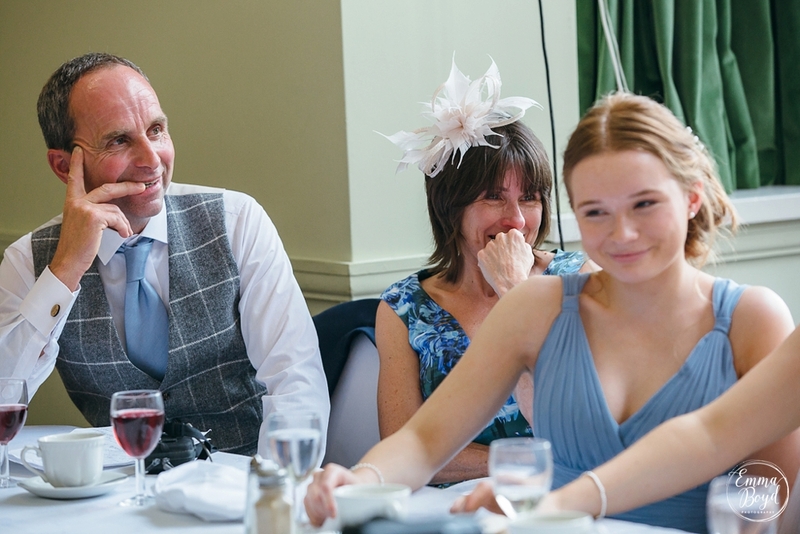 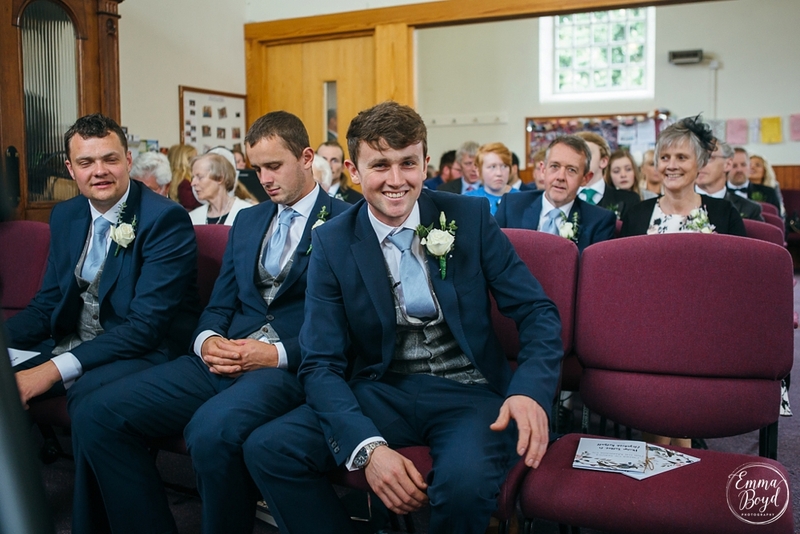 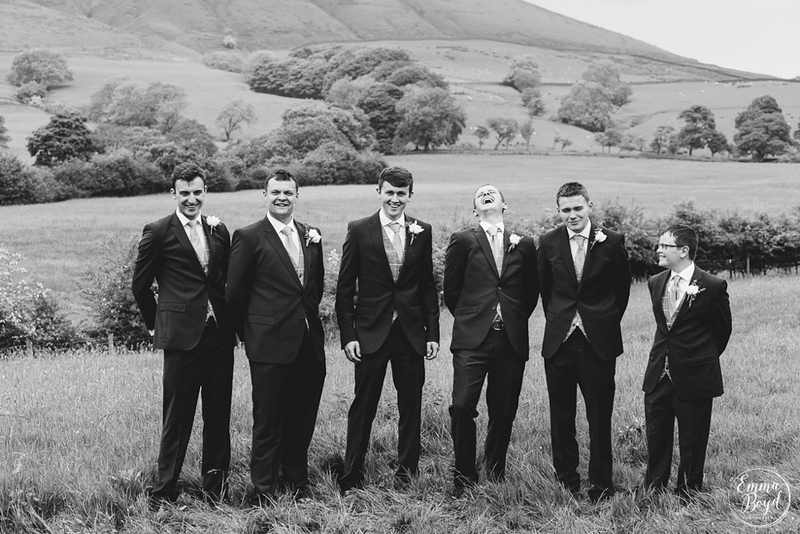 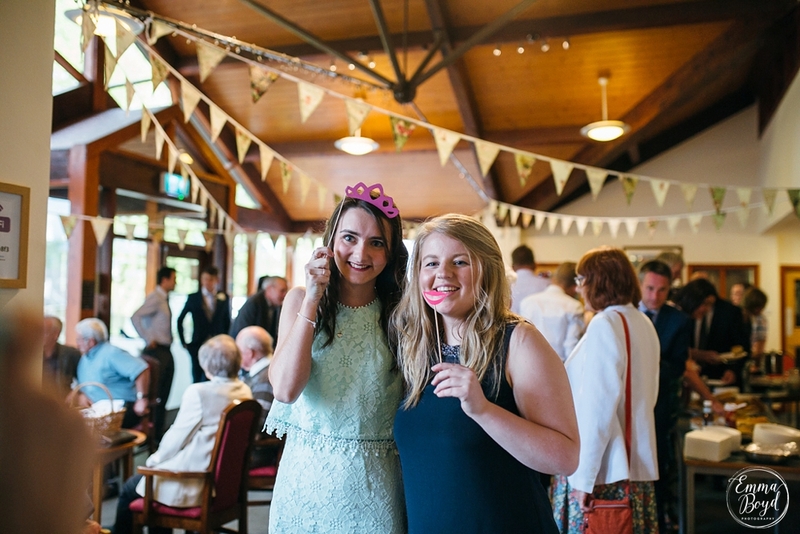 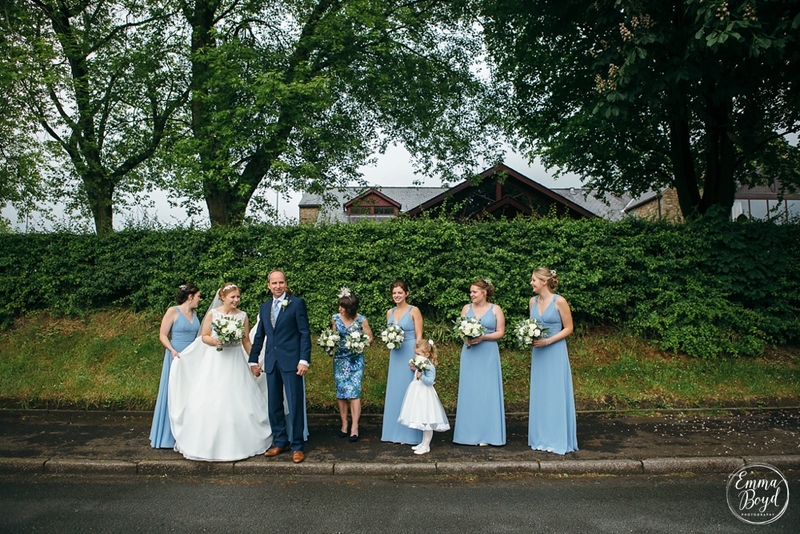 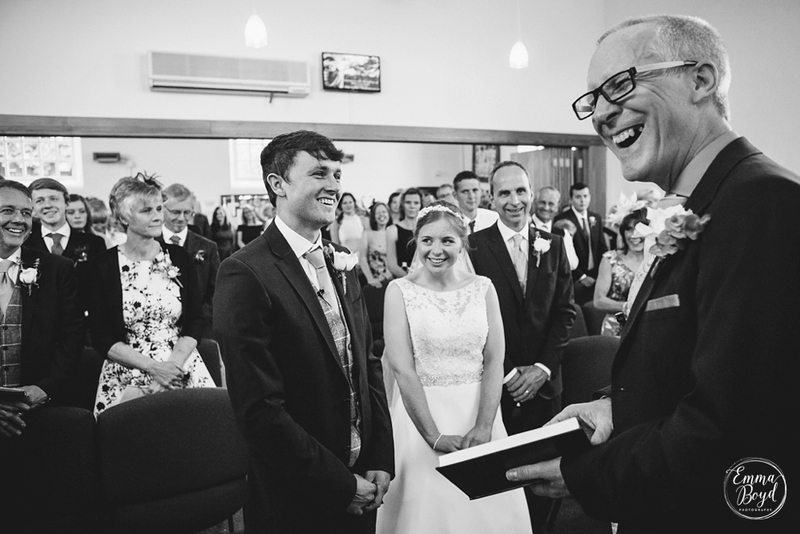 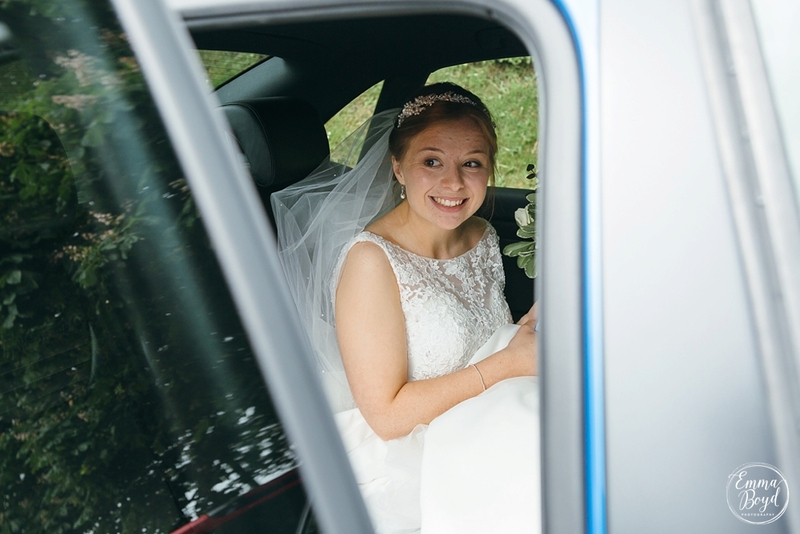 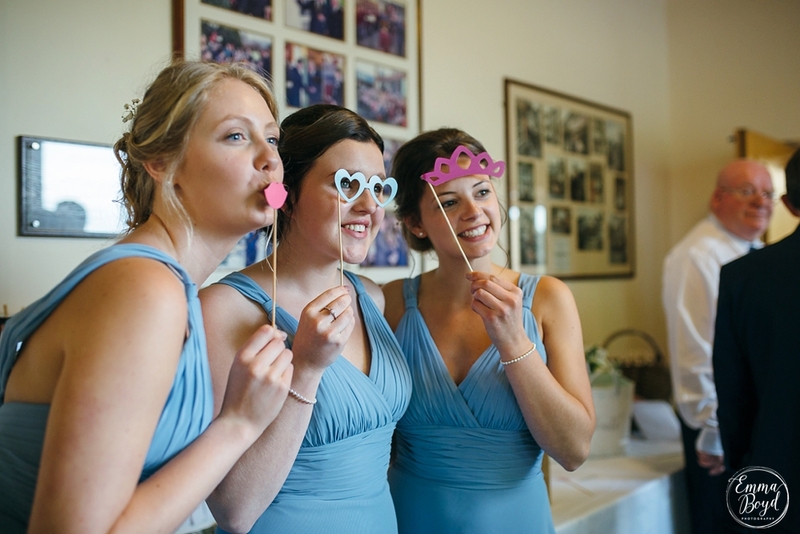 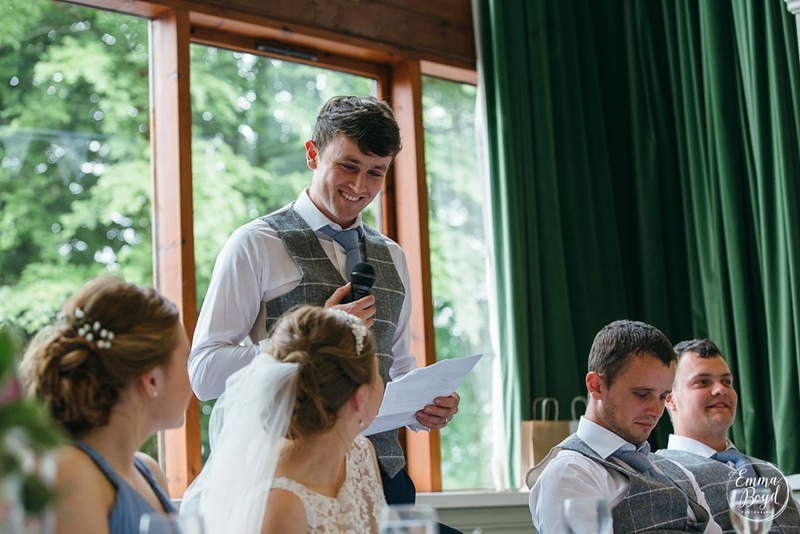 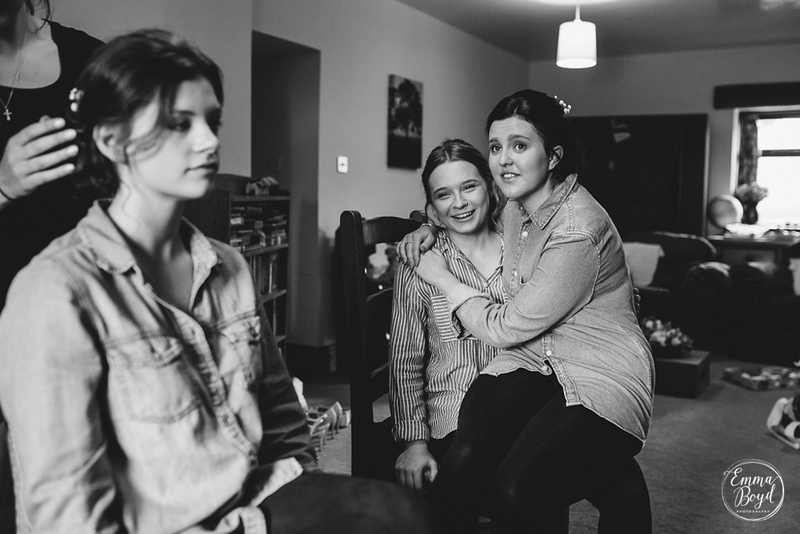 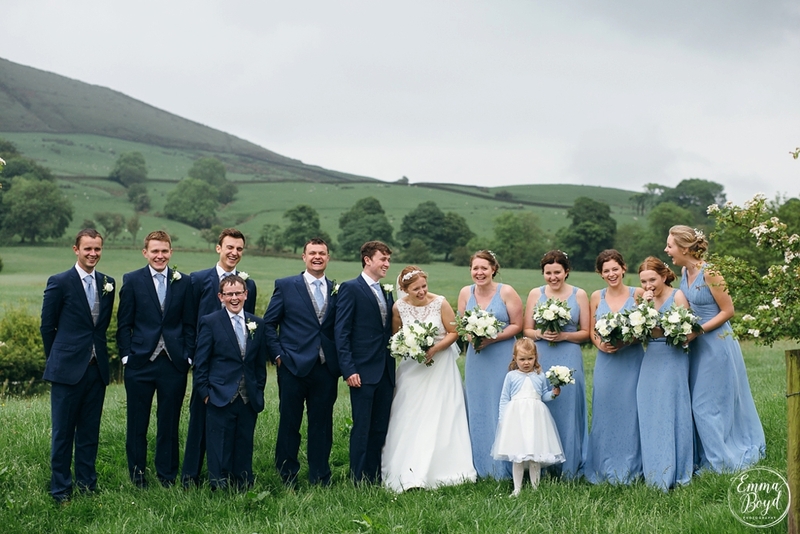 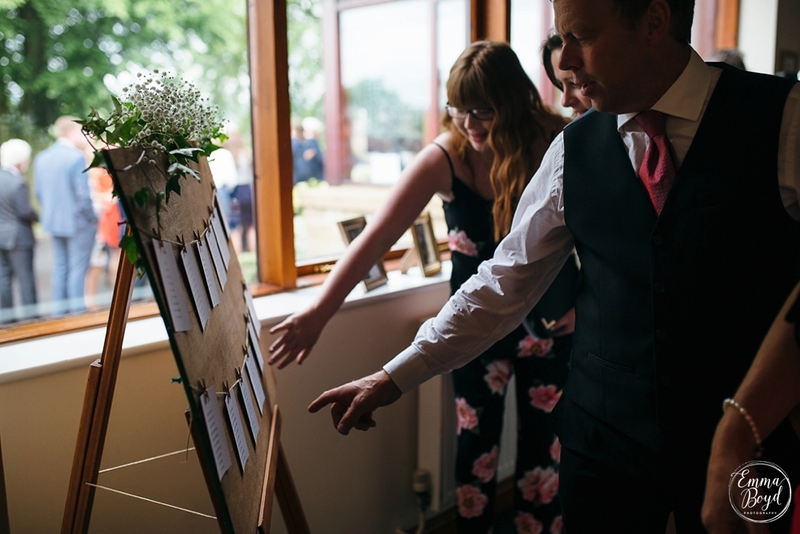 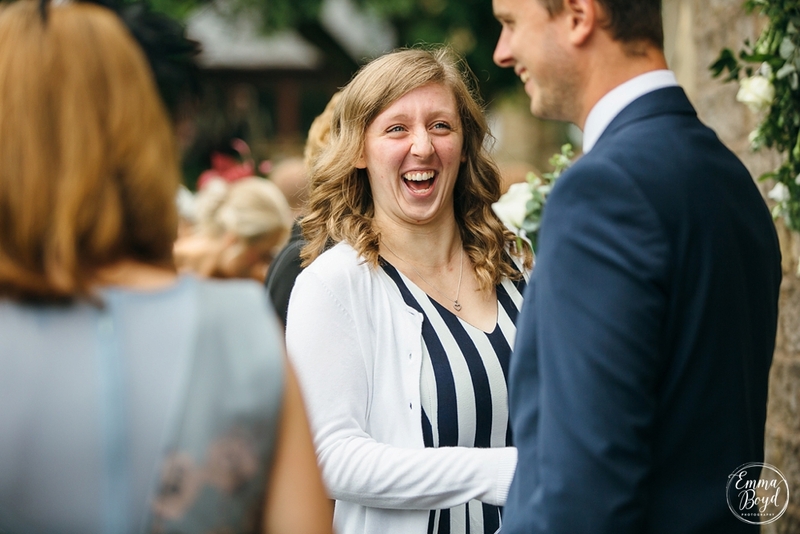 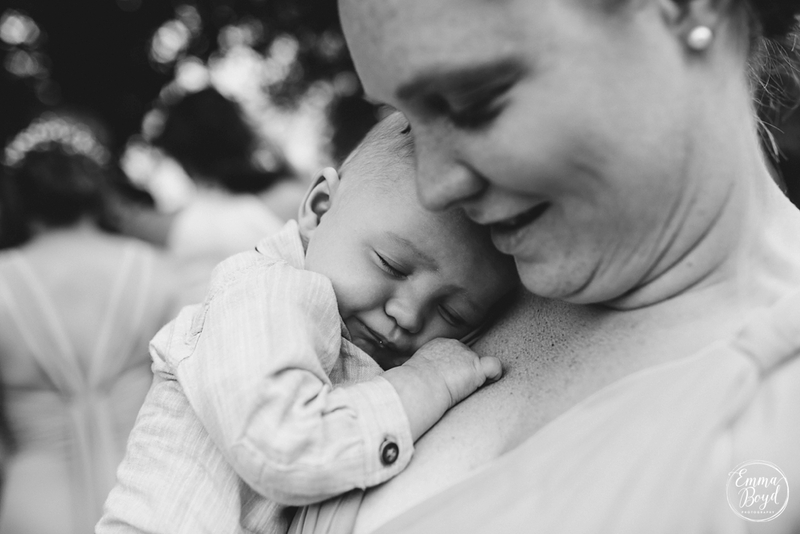 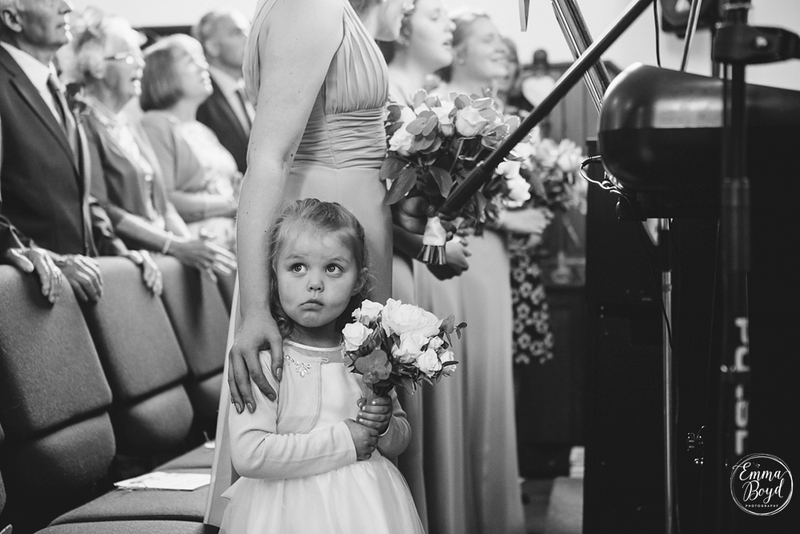 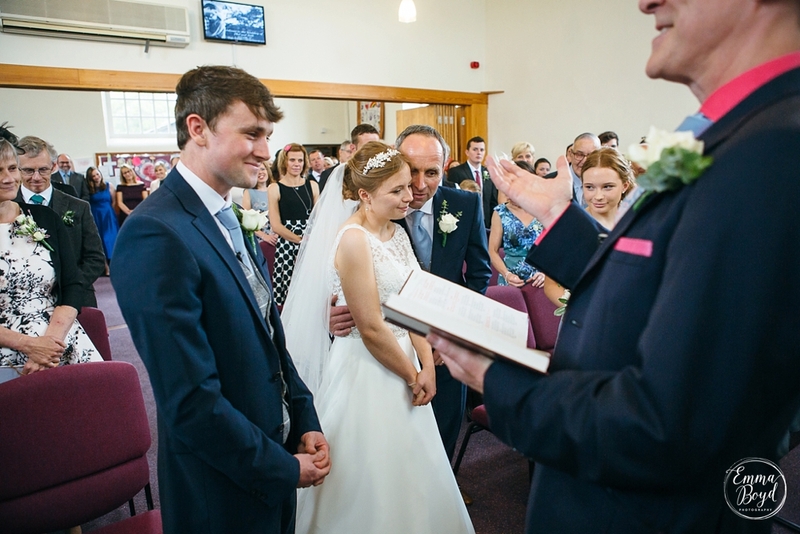 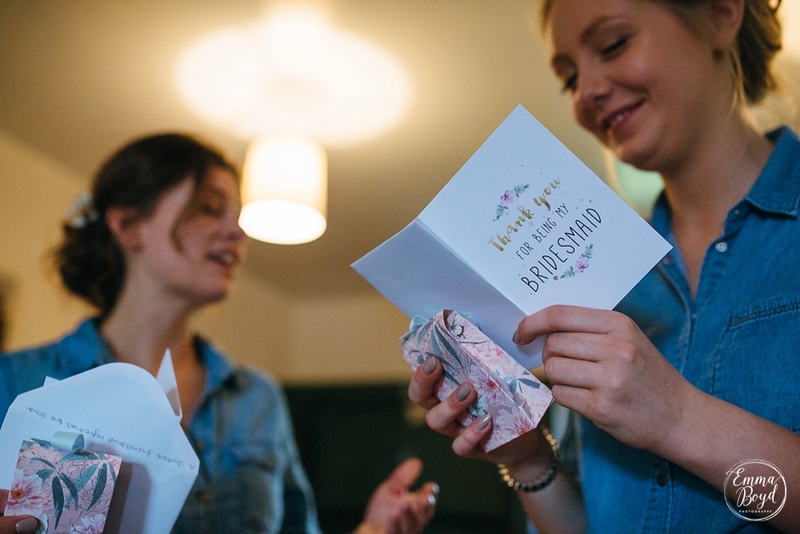 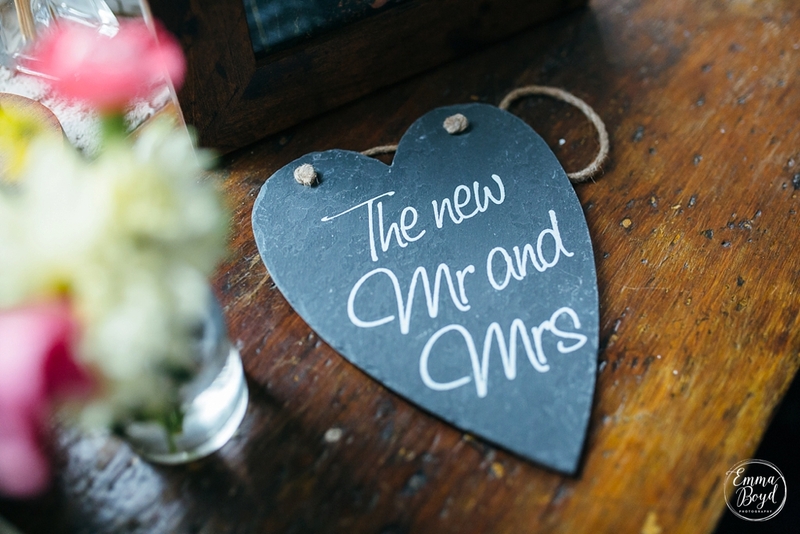 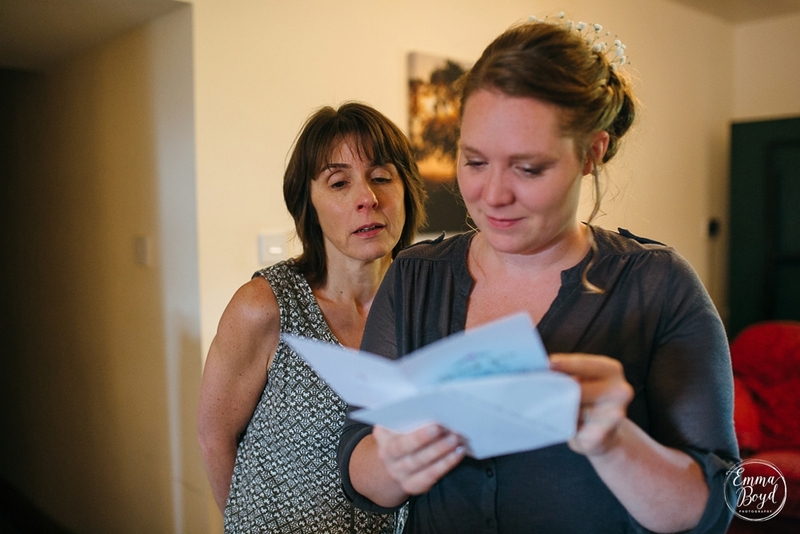 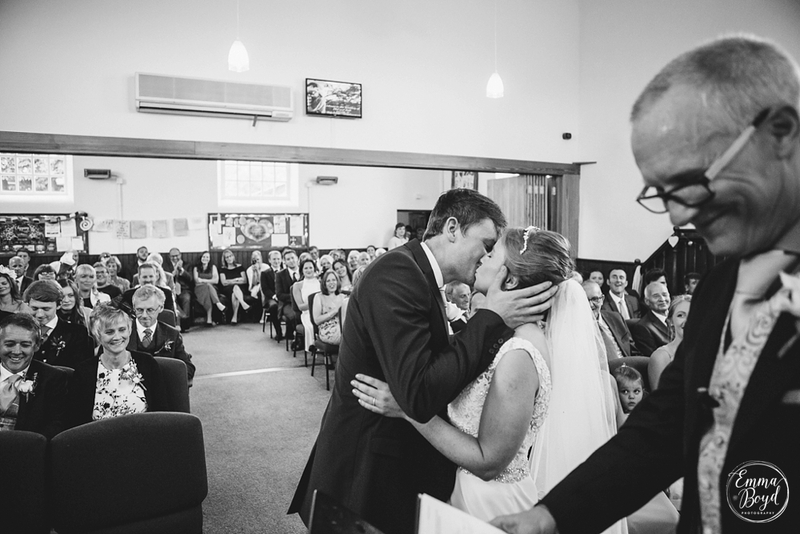 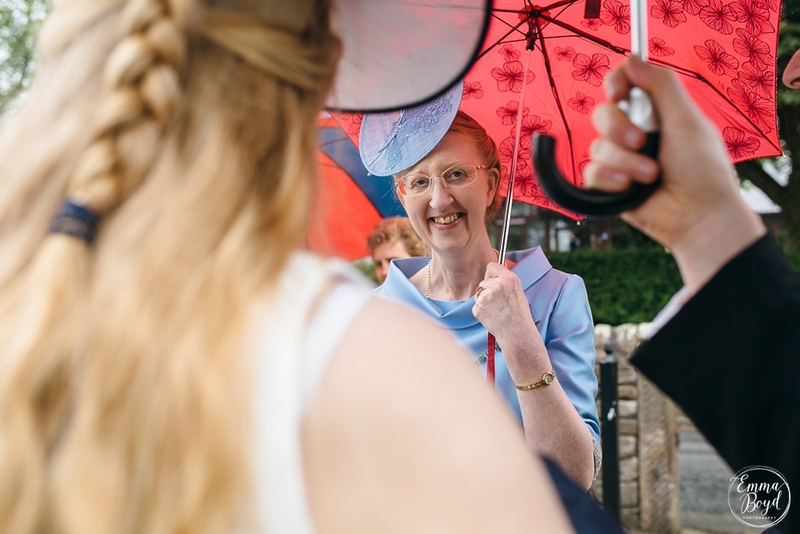 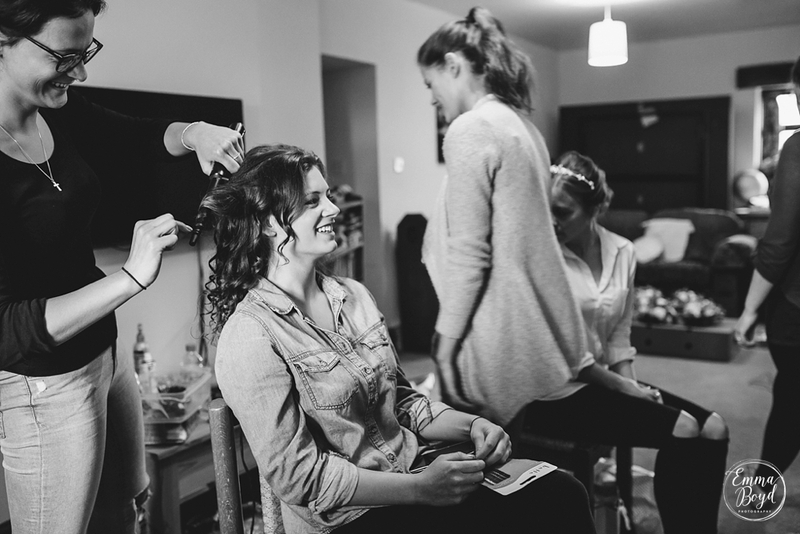 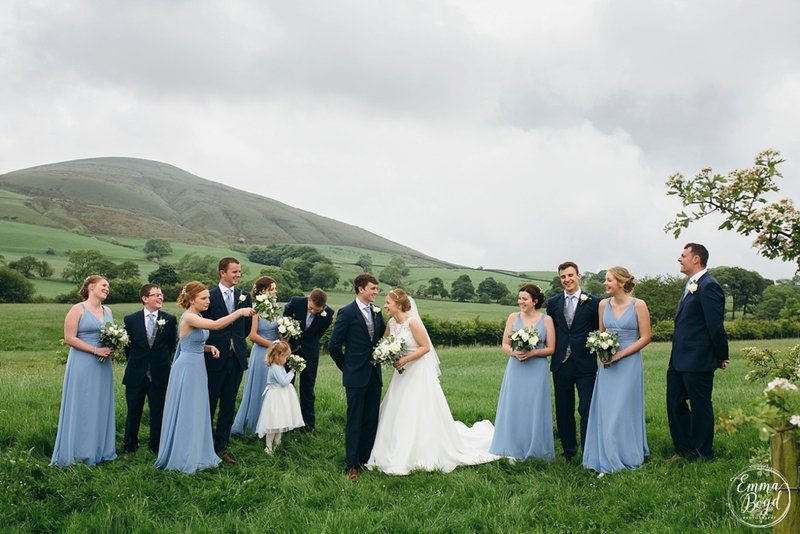 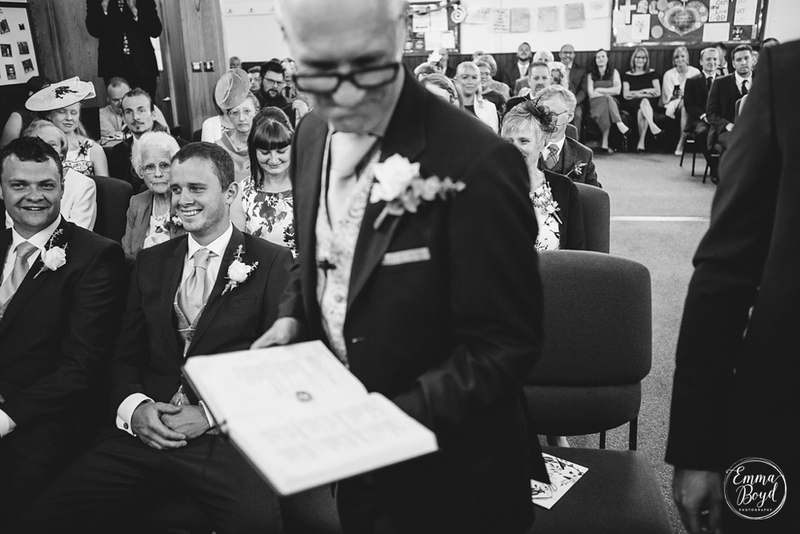 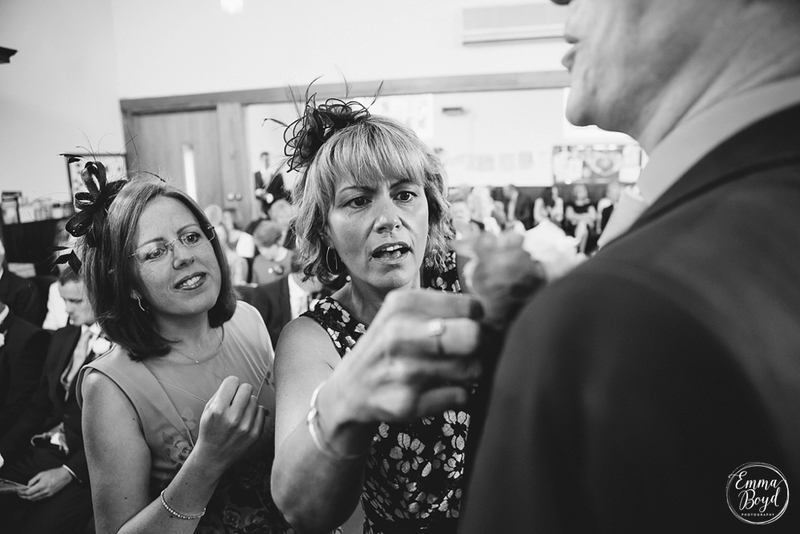 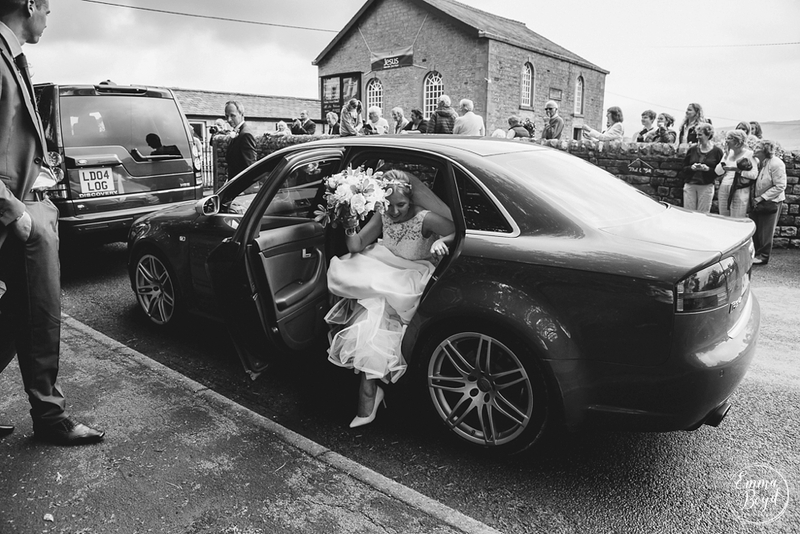 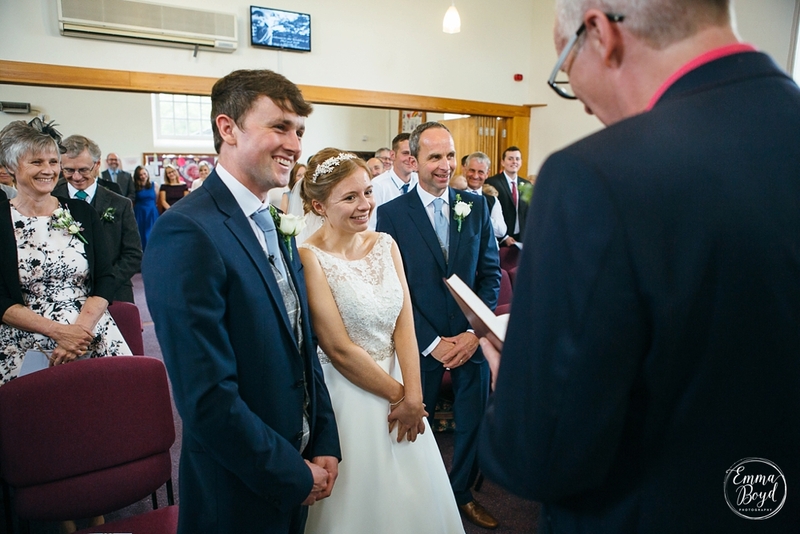 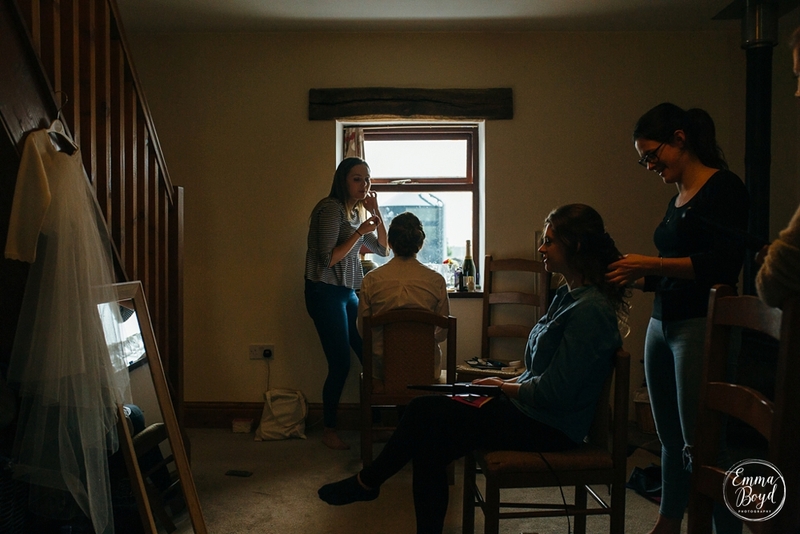 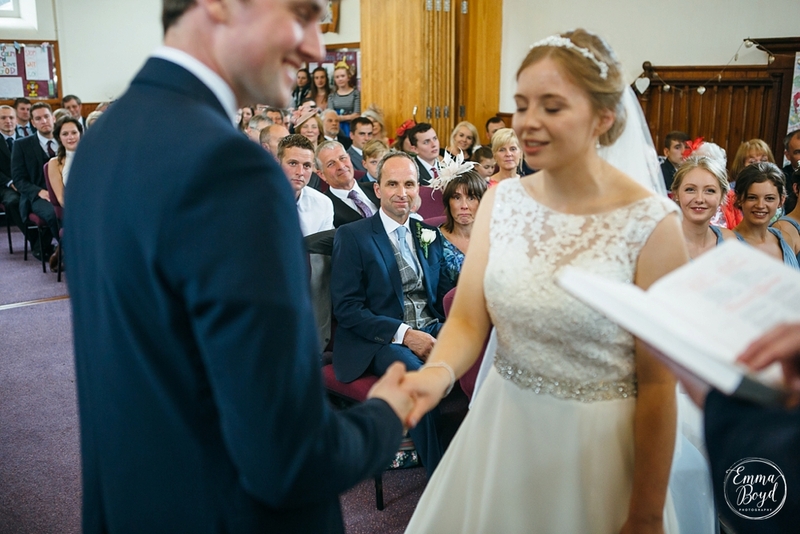 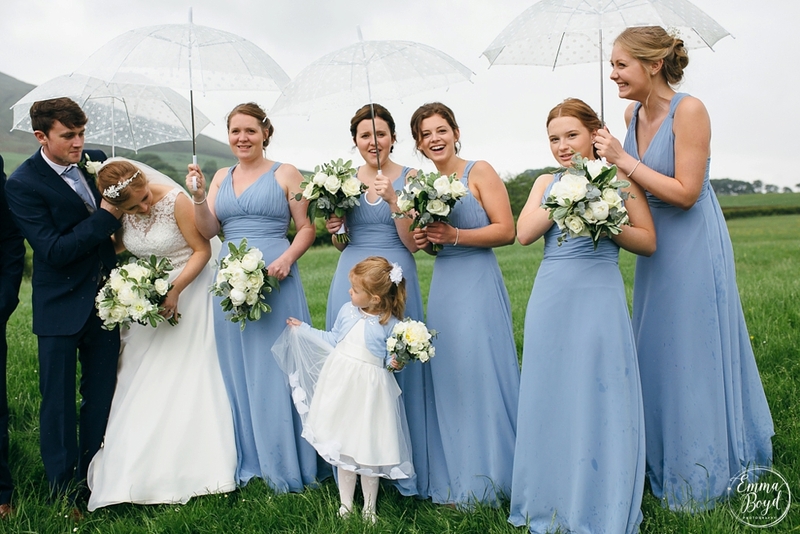 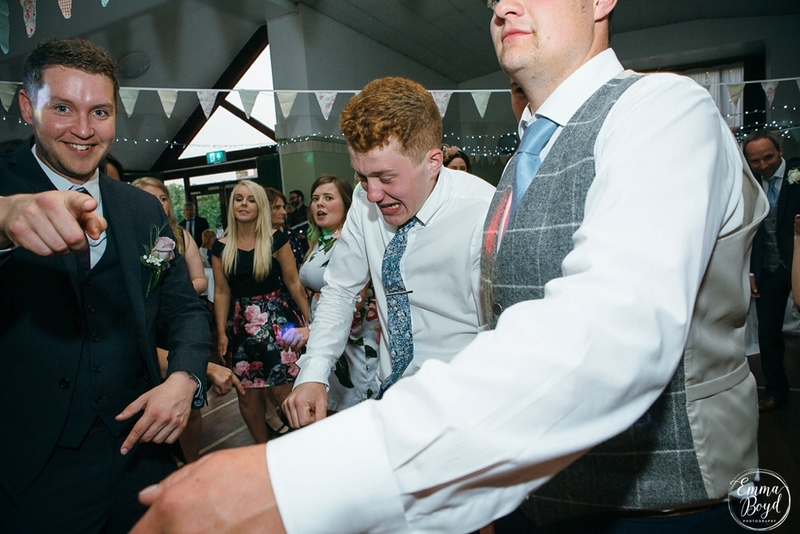 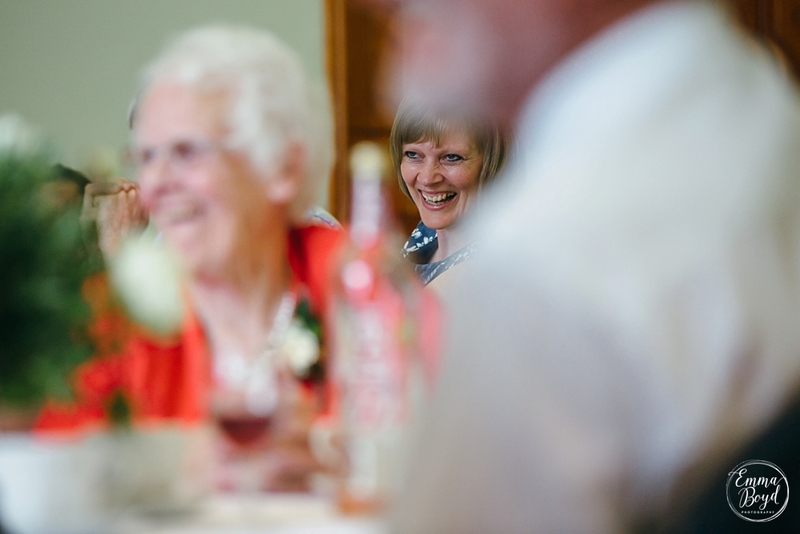 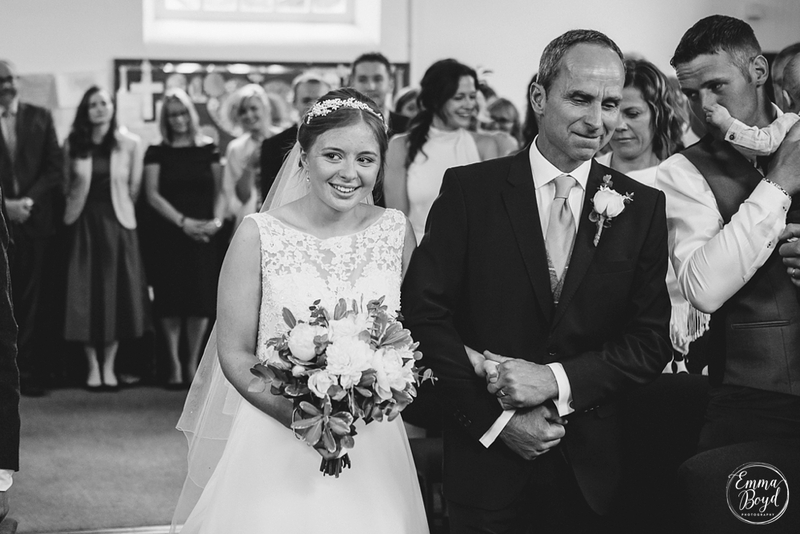 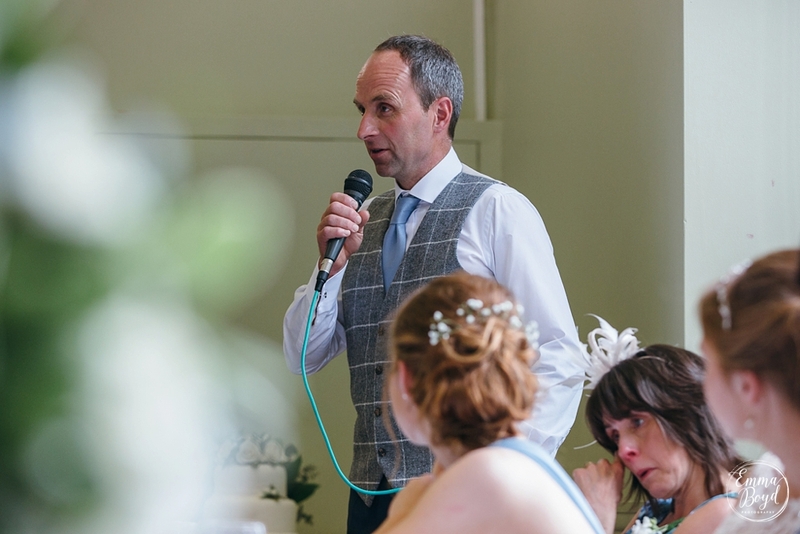 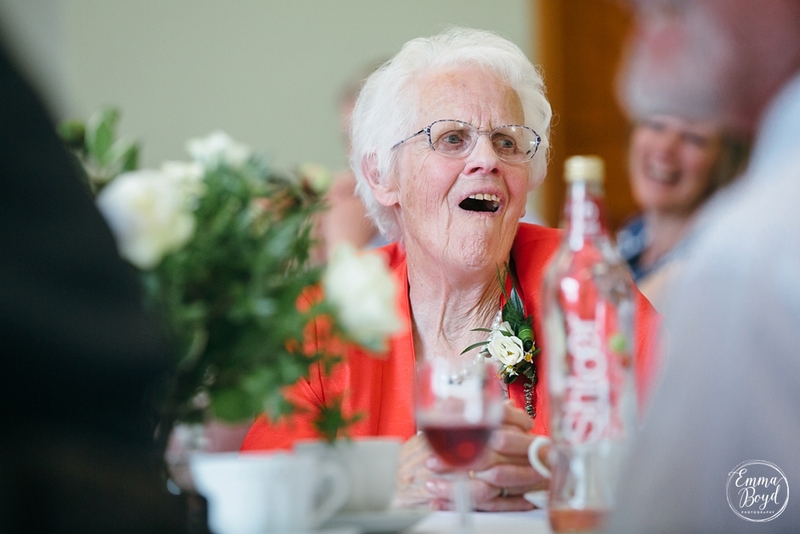 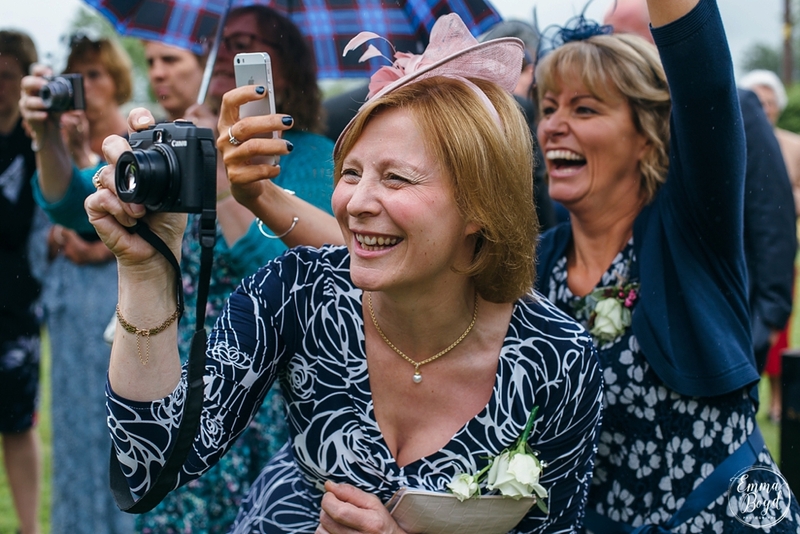 Beth and her bridesmaids then made their way to Chipping Congregational Church where her fiancé, Phil, was waiting patiently along with a huge congregation – the room was packed full to the brim of family & friends. 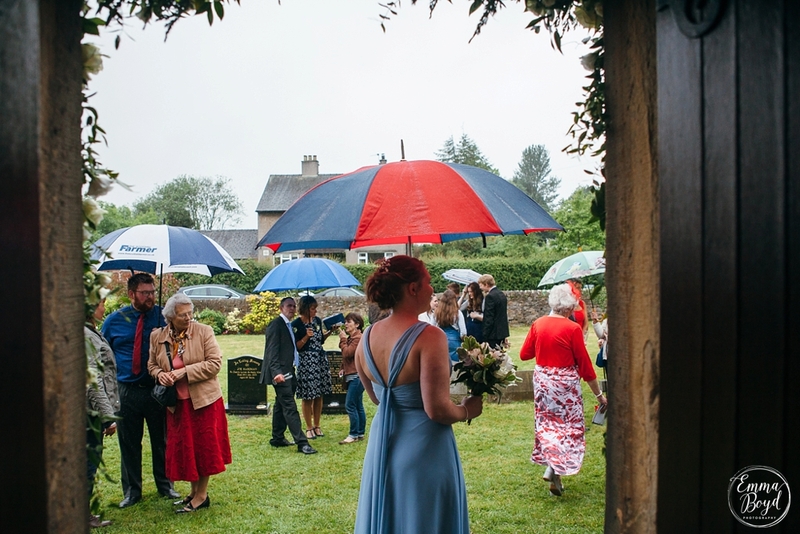 After a beautiful ceremony Beth, Phil and their bridal party braved the weather and ventured out into the fields for some photographs, Special thanks has to go to some very officiant friends of the bride who were there with 4×4’s, brollies and plastic sheeting to keep the dresses clean(ish). 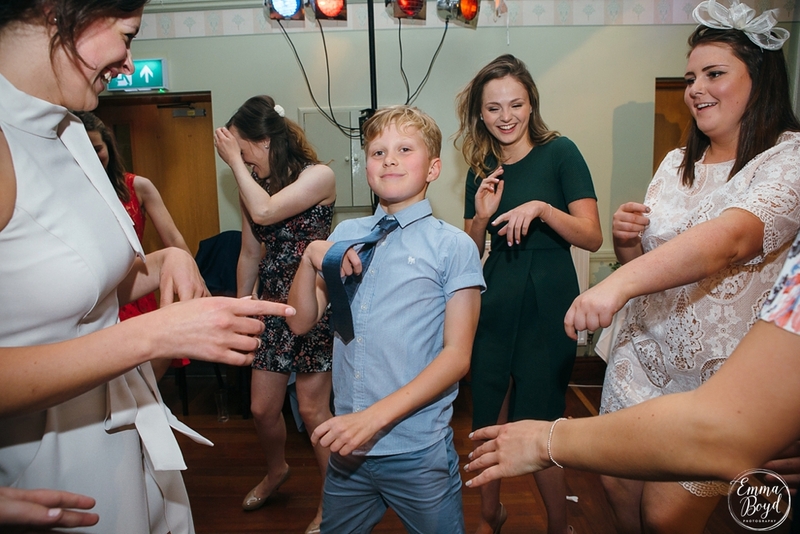 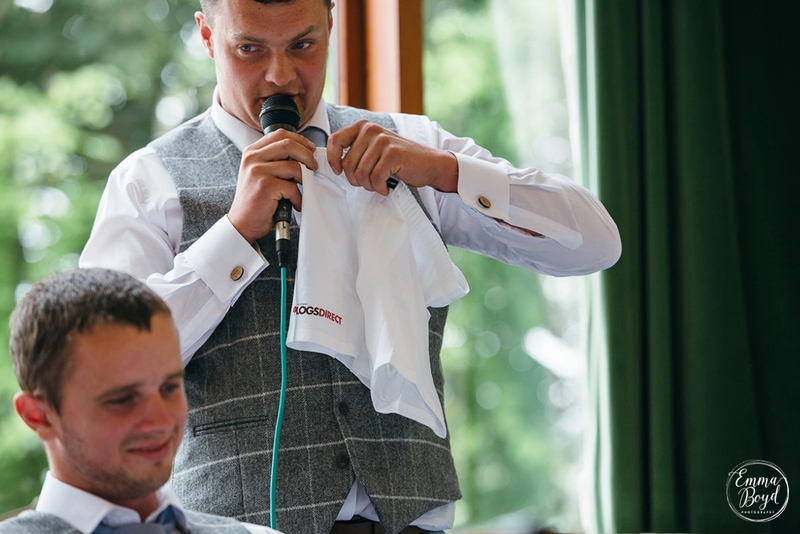 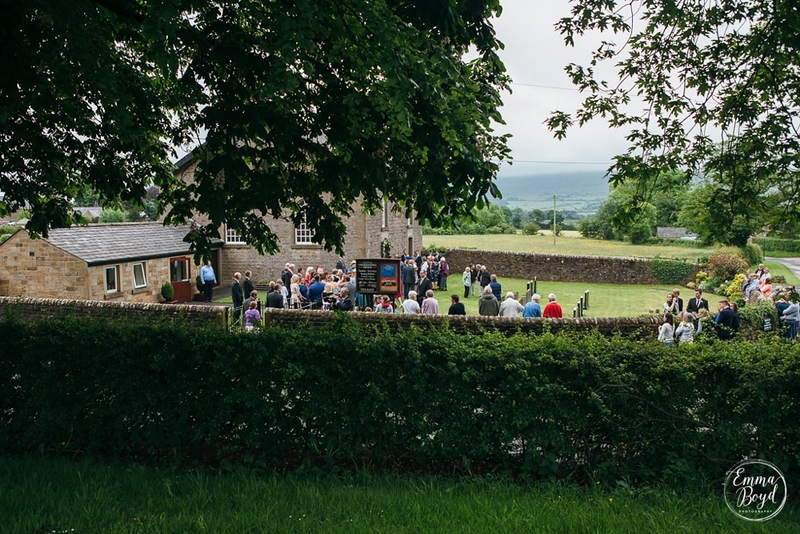 The reception was held at Chipping Village Hall. 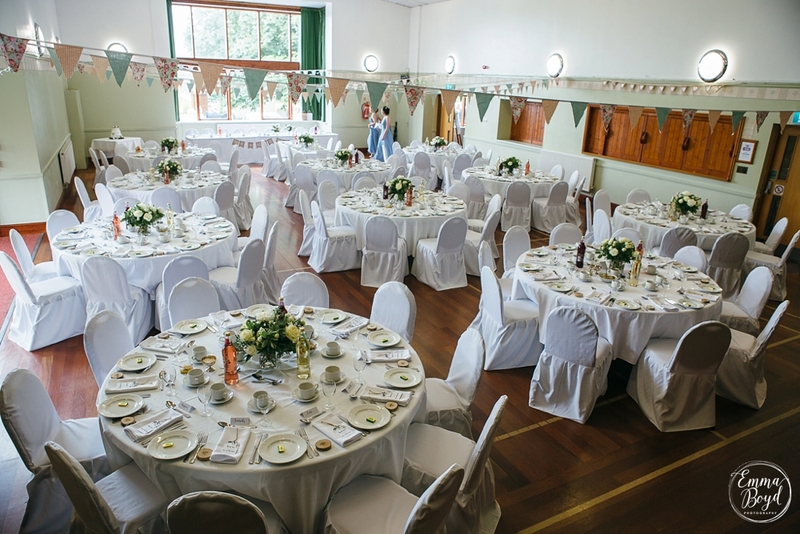 I’ve been here three times now and each time I rock up, i’m amazed at how different the hall can look. 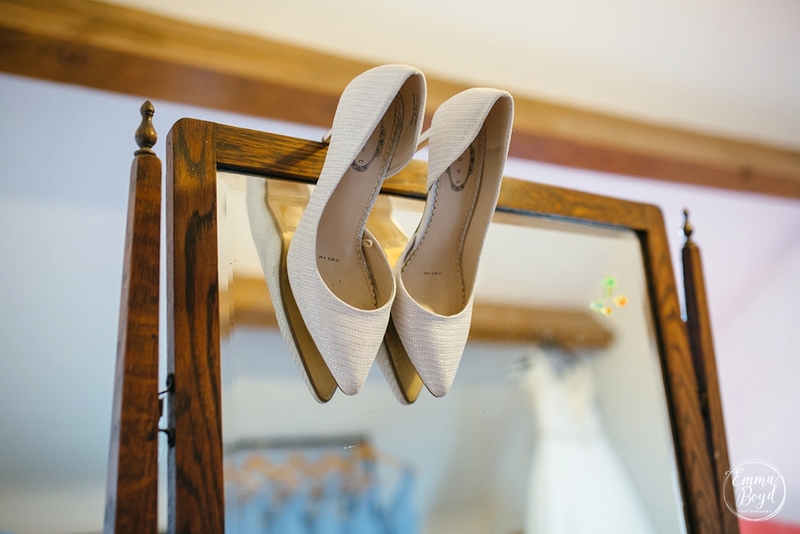 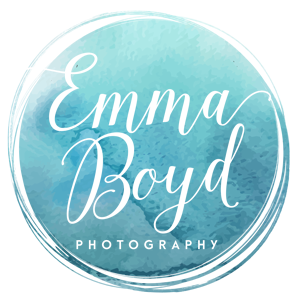 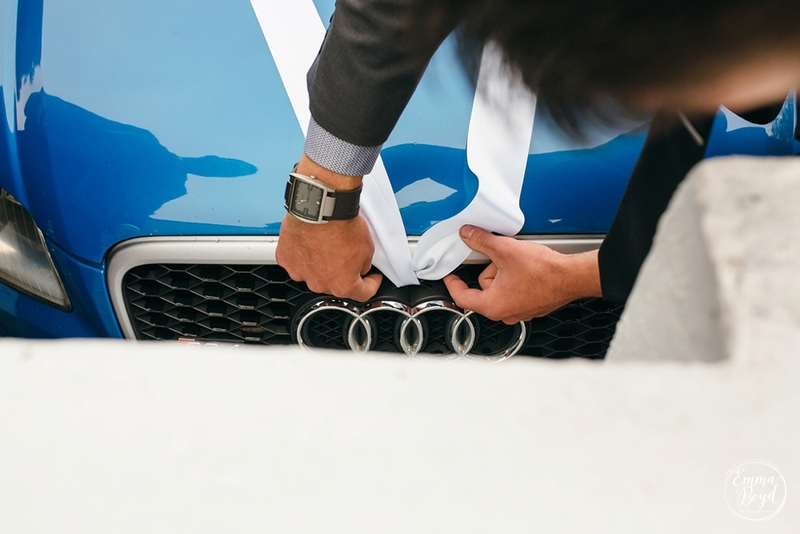 Its a great space to put your mark on. 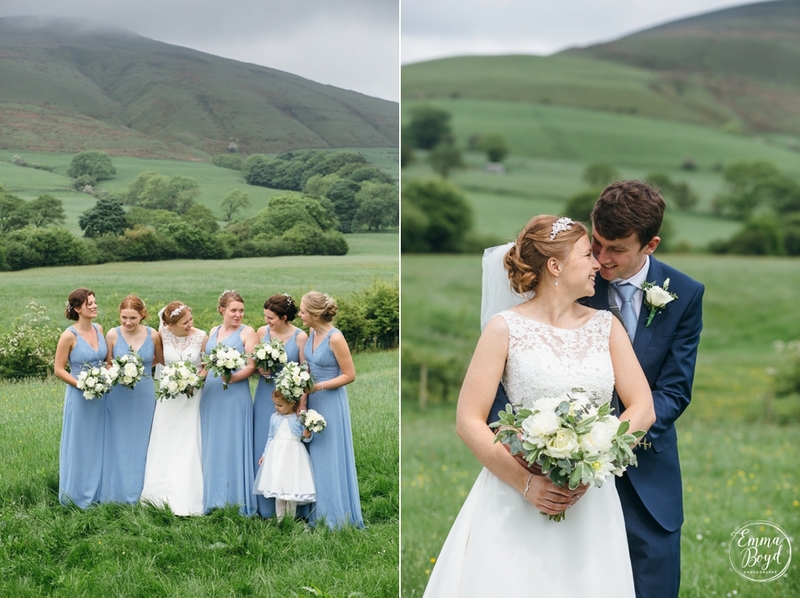 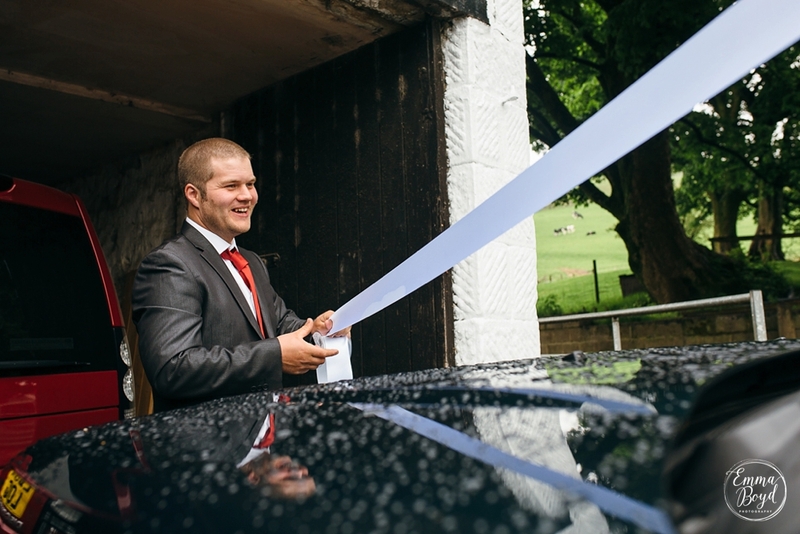 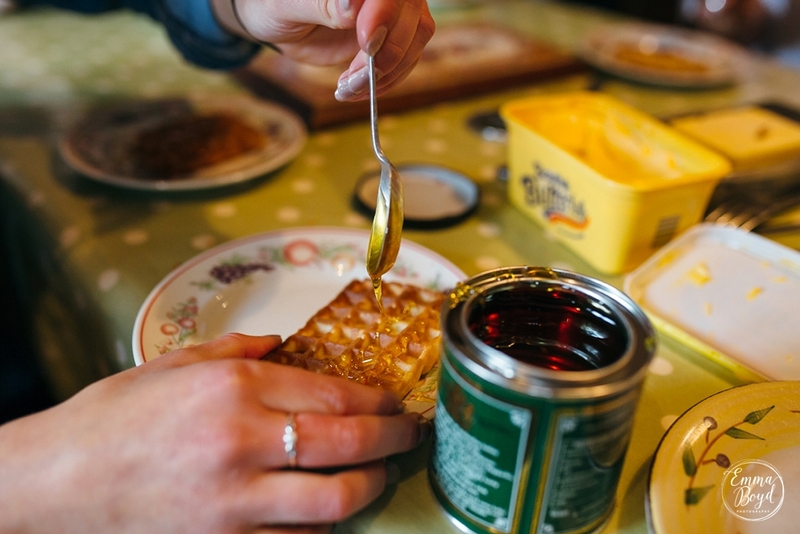 Next Next post: Heather & Nathan | Lake District, England.